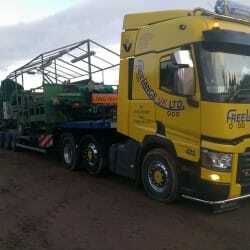 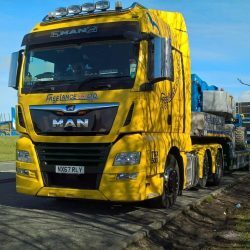 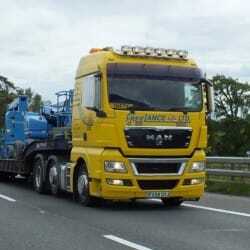 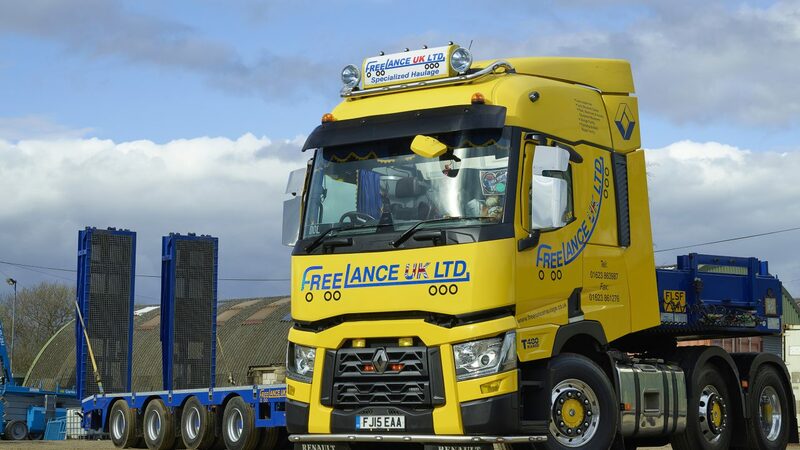 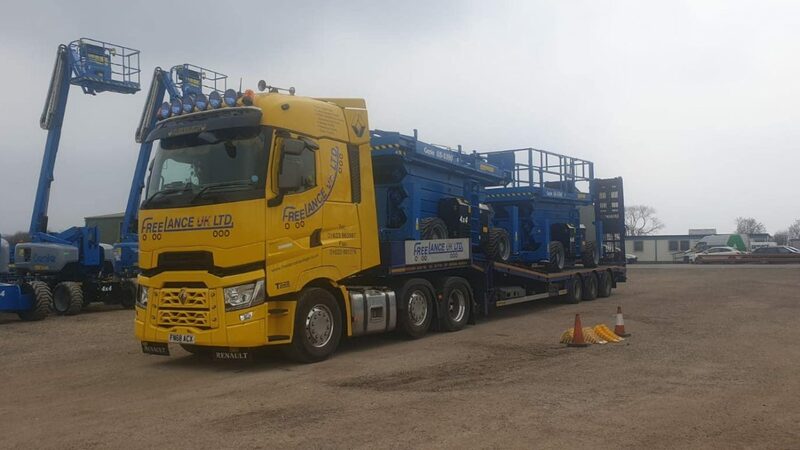 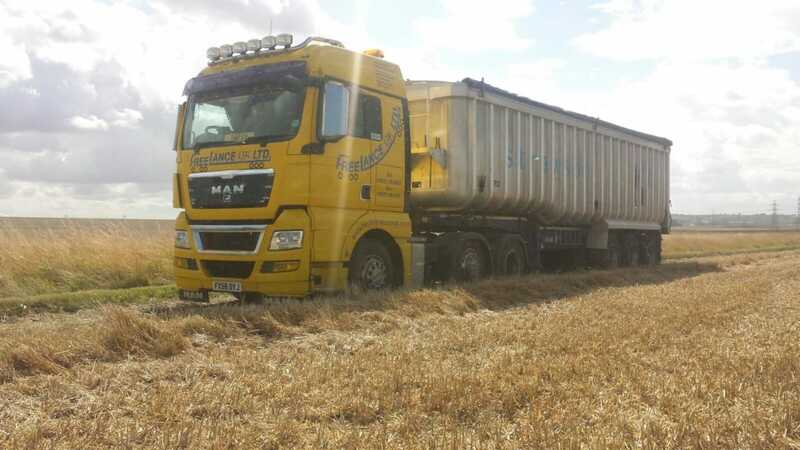 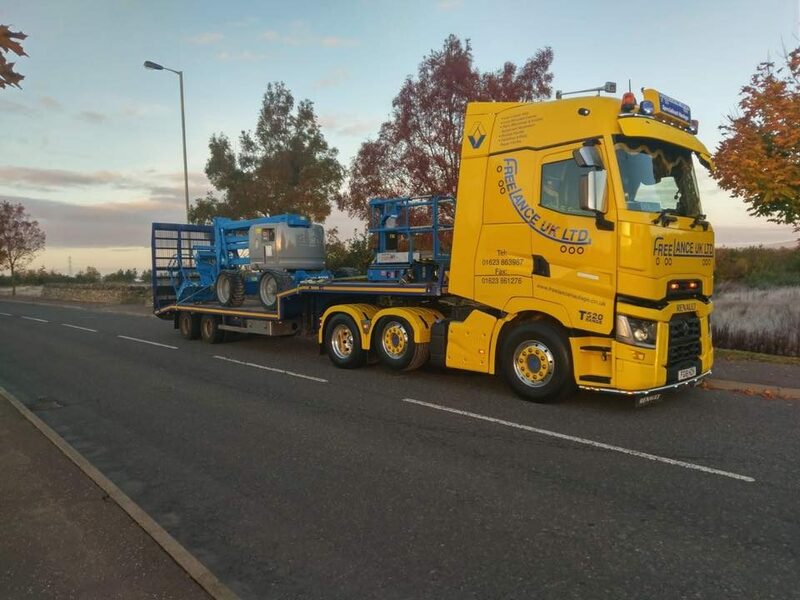 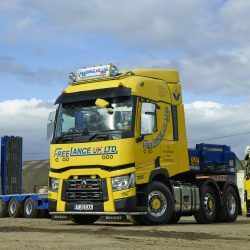 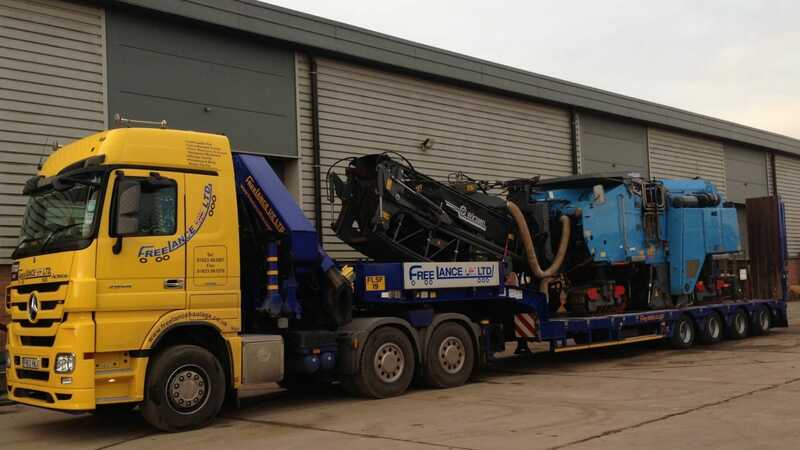 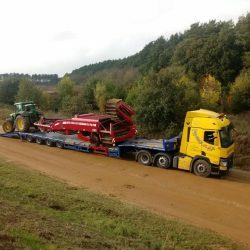 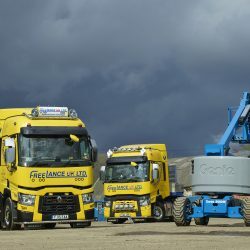 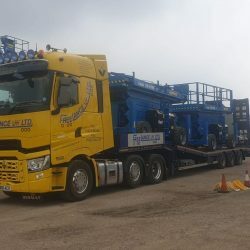 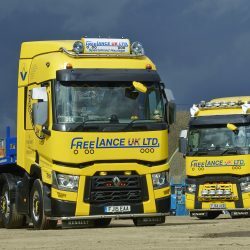 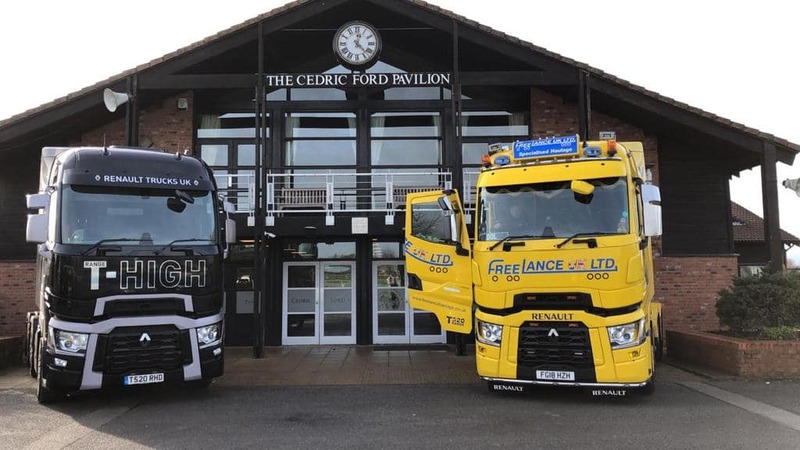 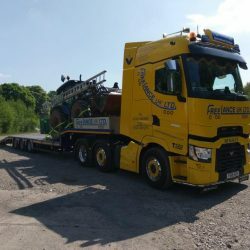 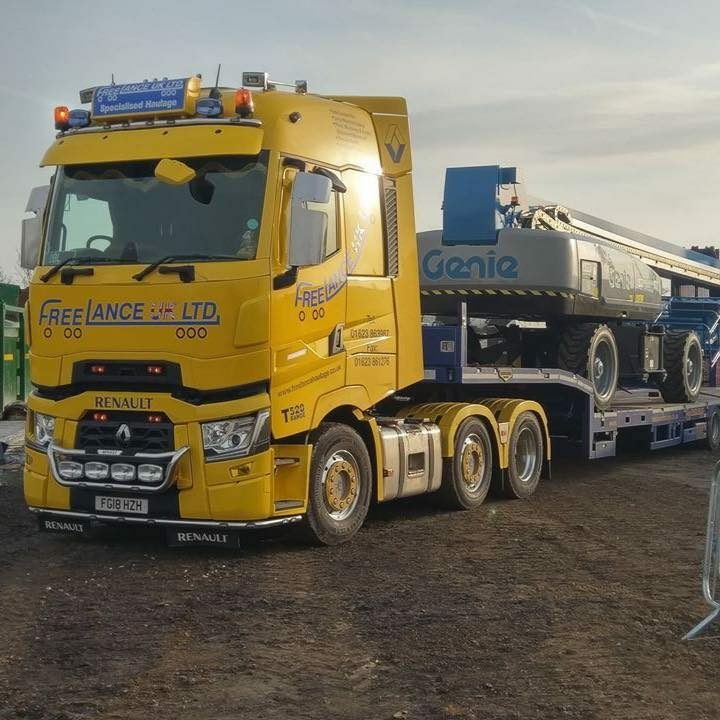 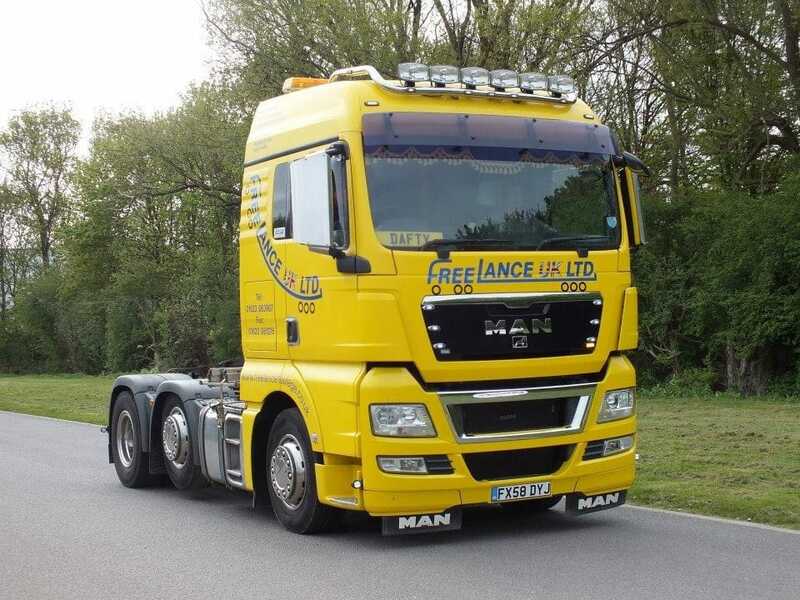 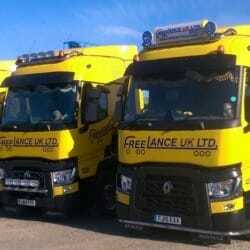 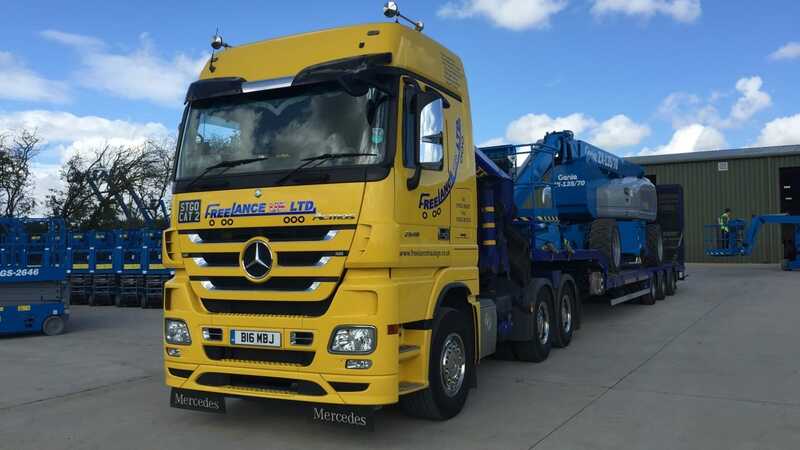 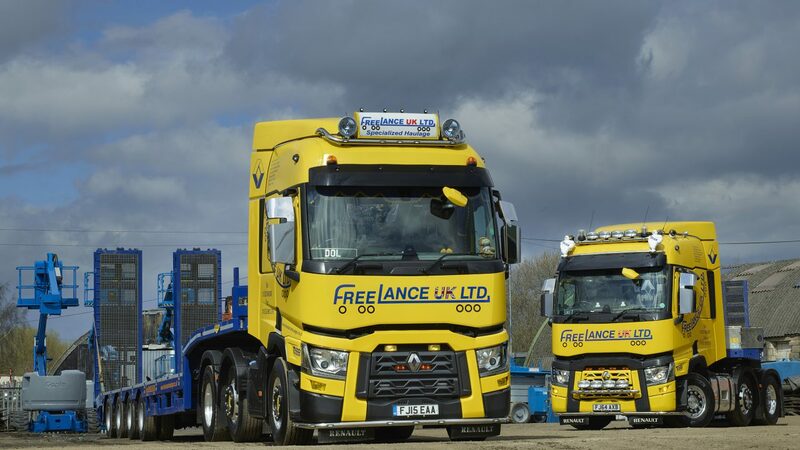 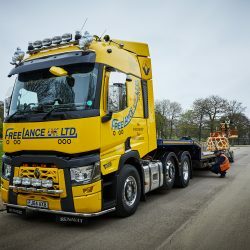 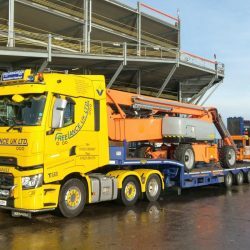 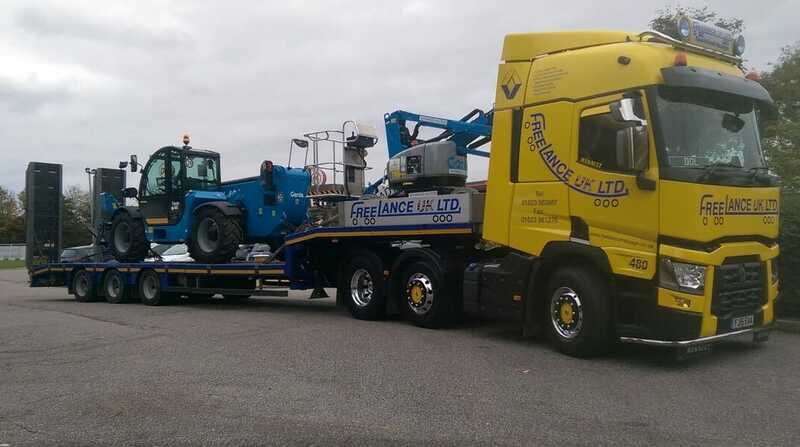 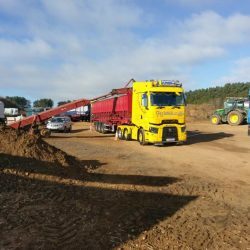 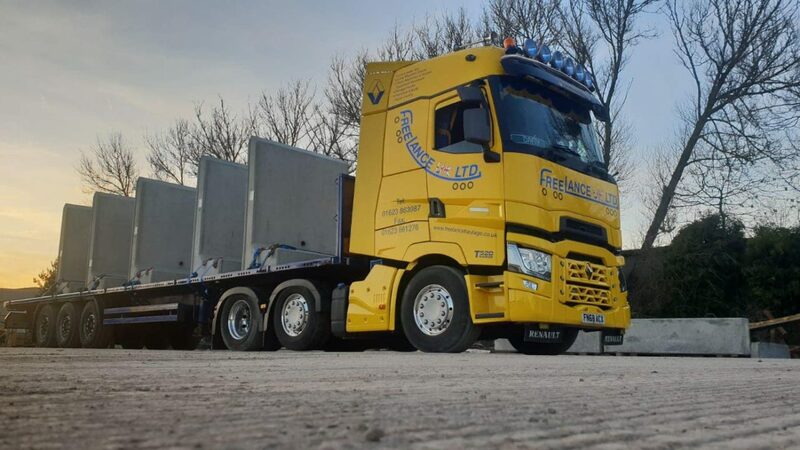 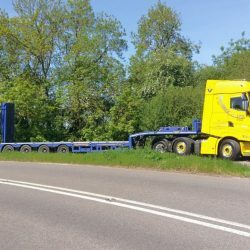 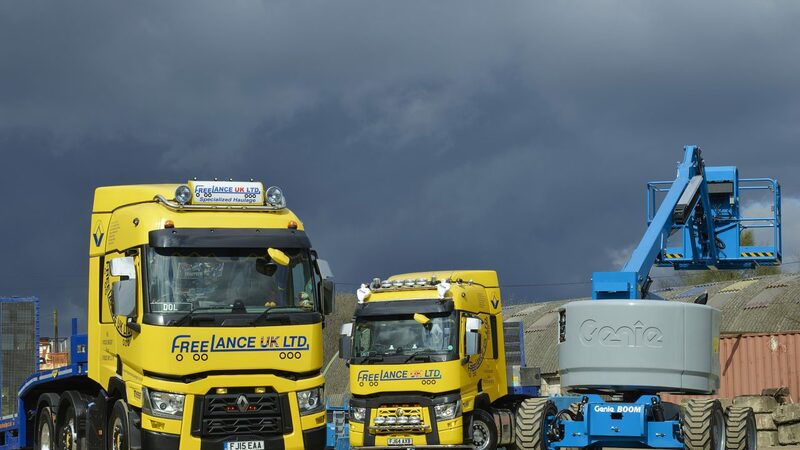 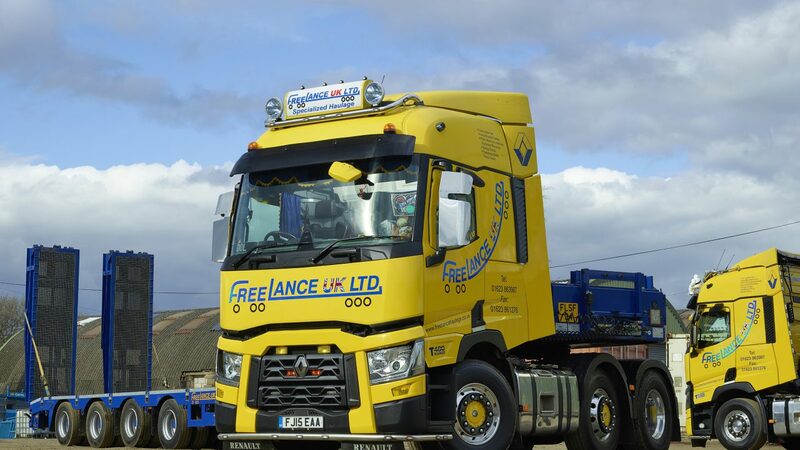 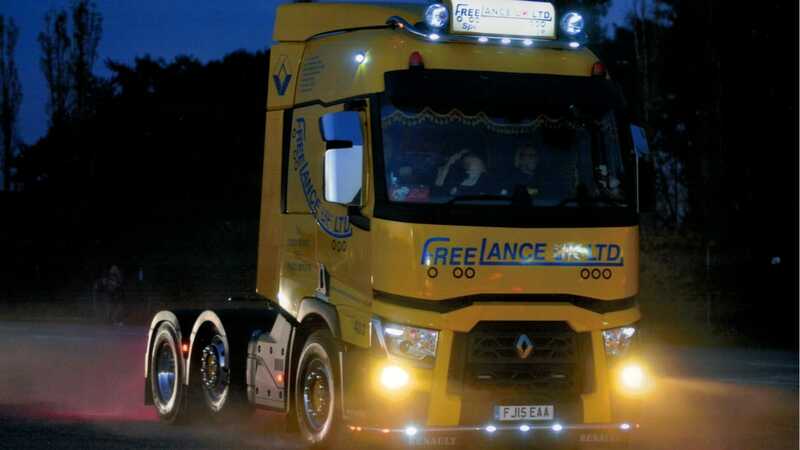 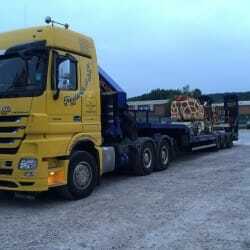 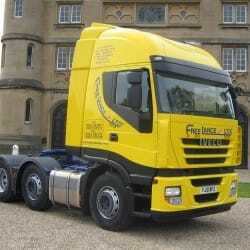 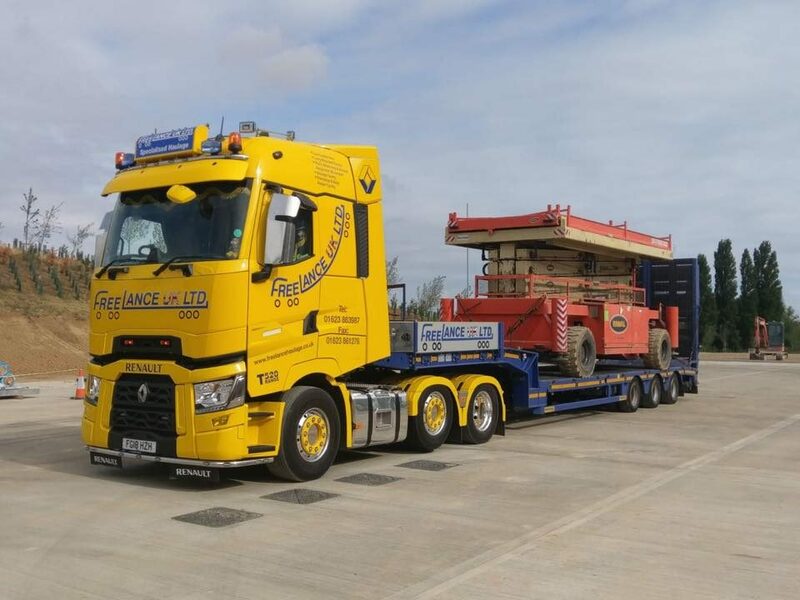 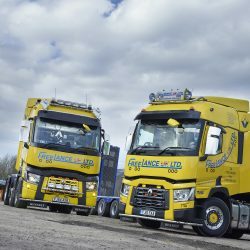 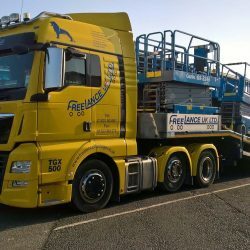 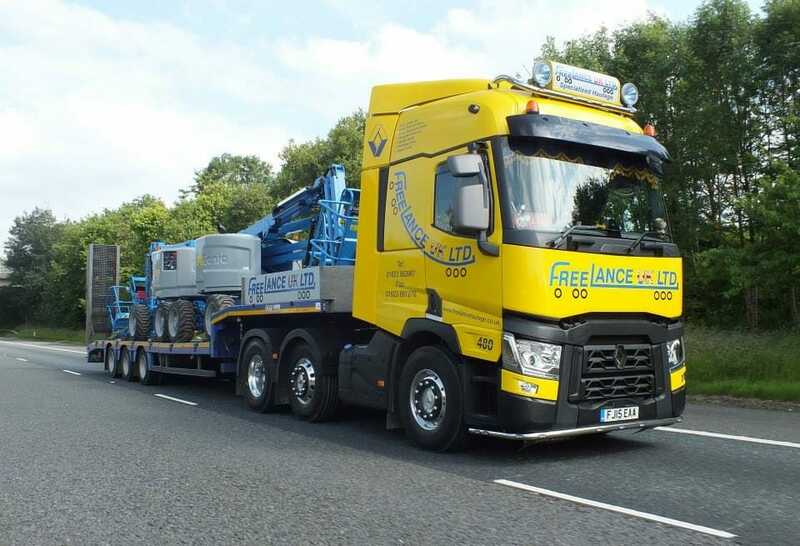 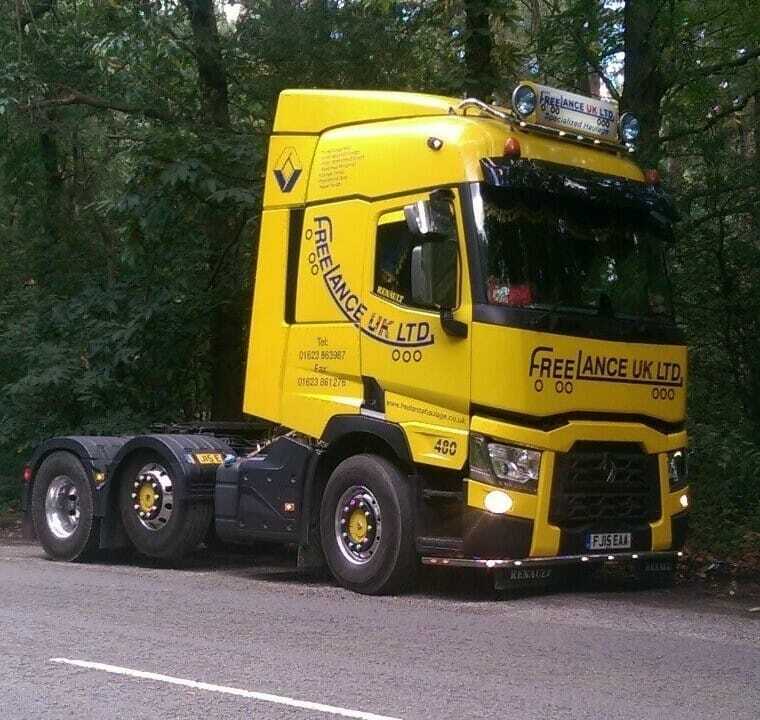 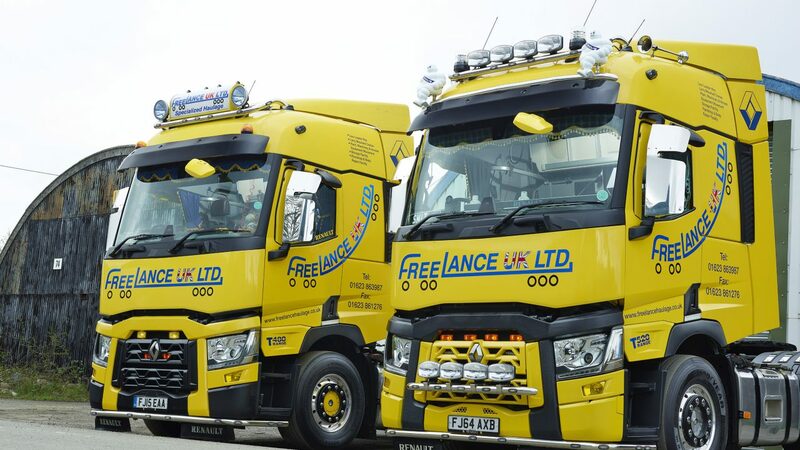 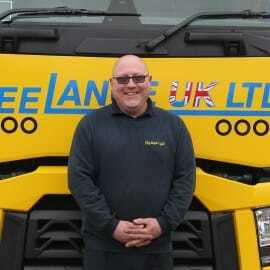 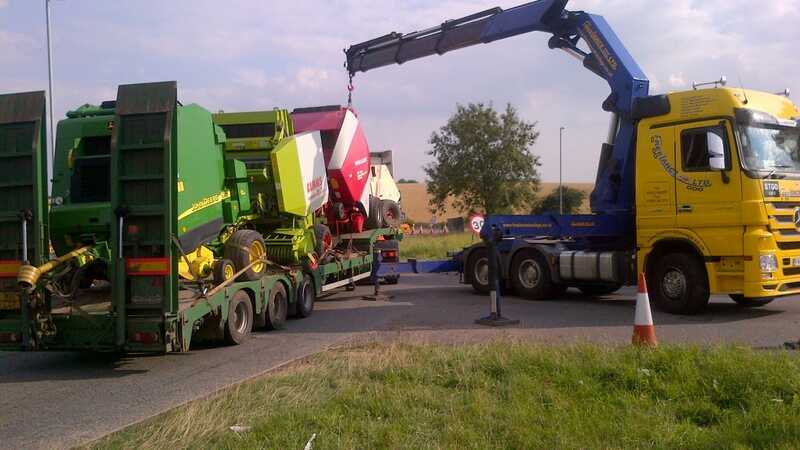 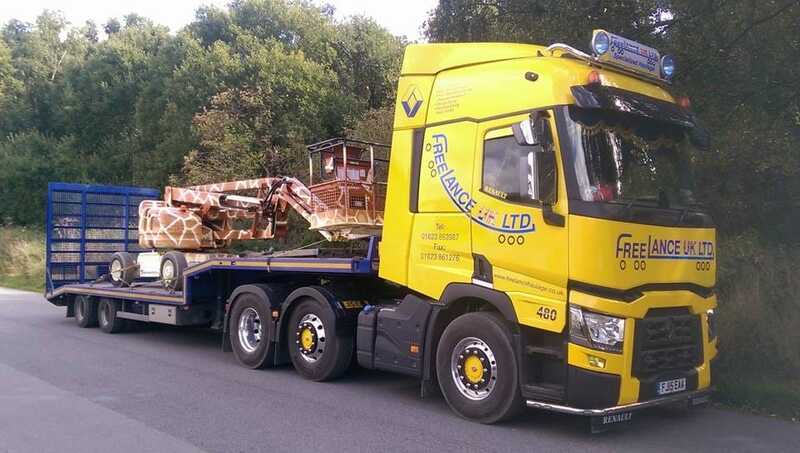 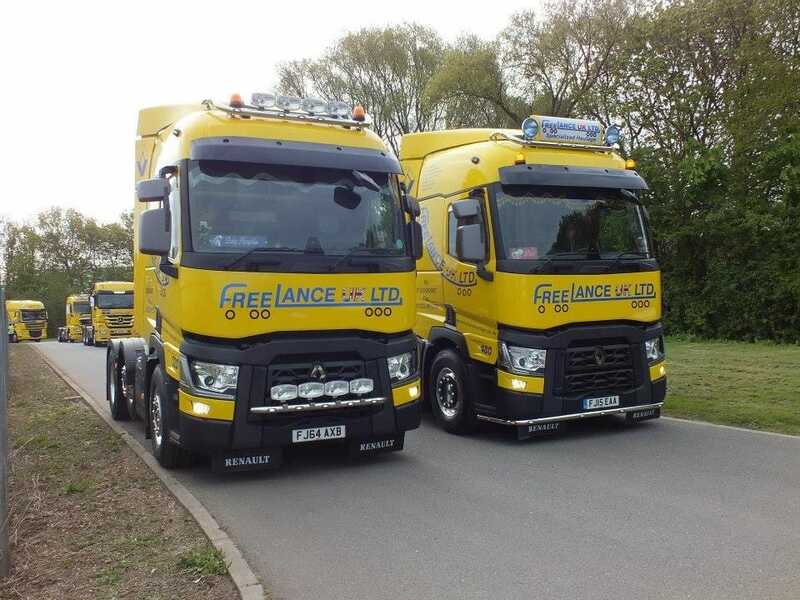 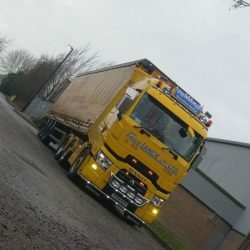 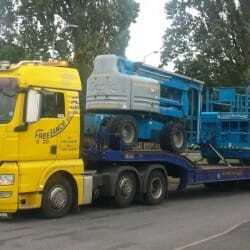 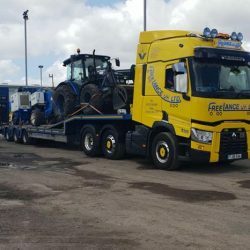 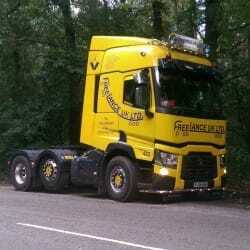 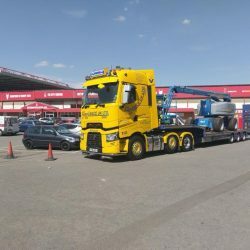 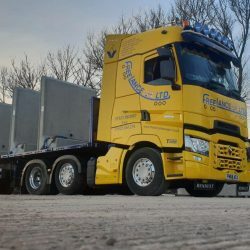 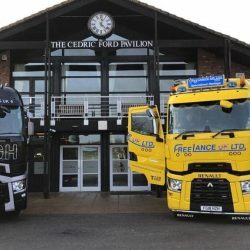 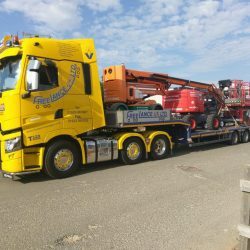 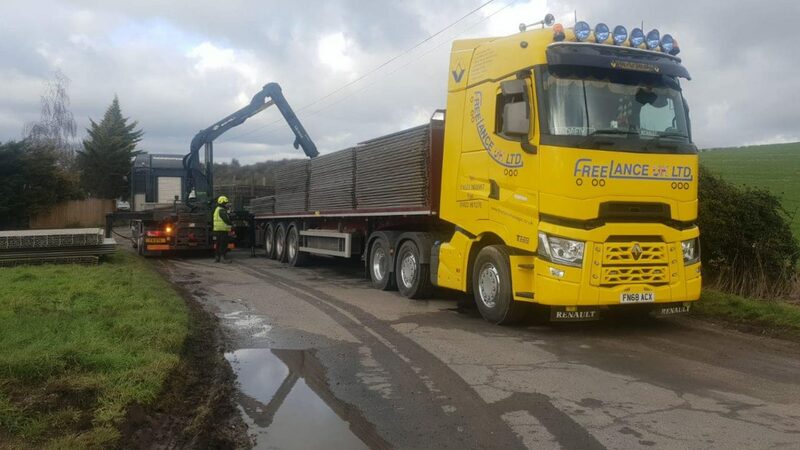 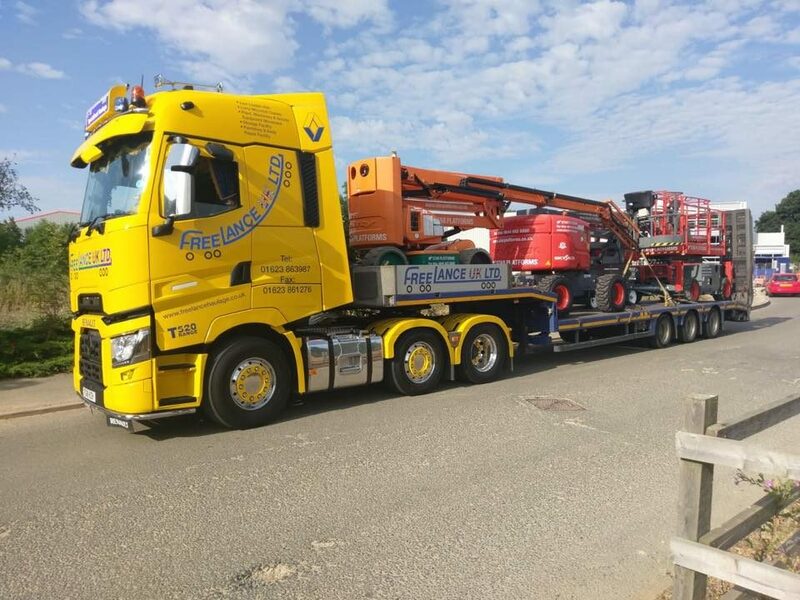 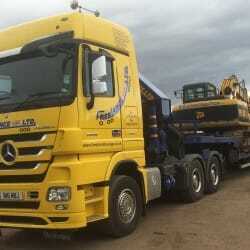 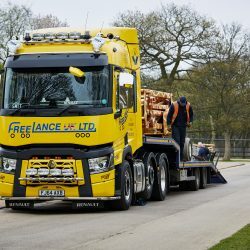 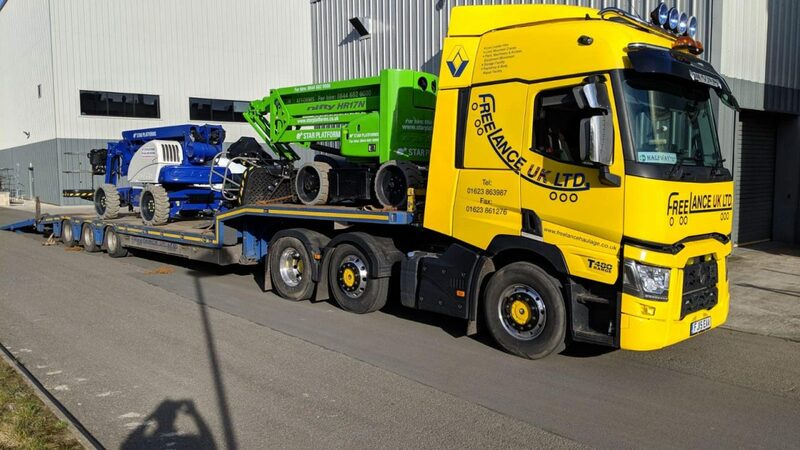 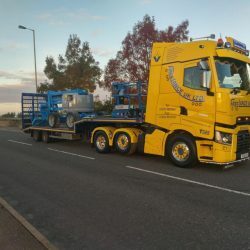 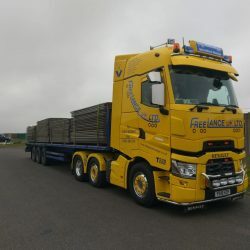 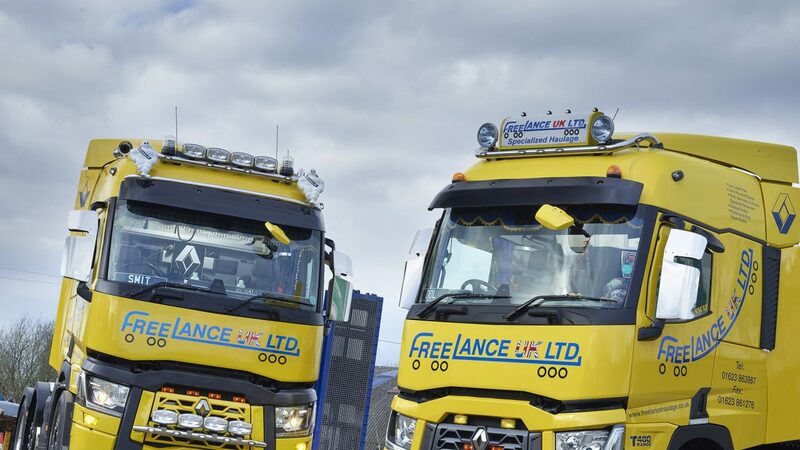 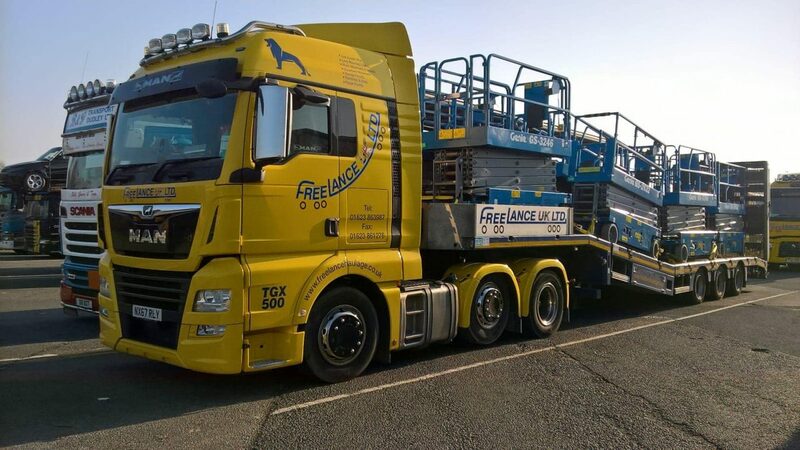 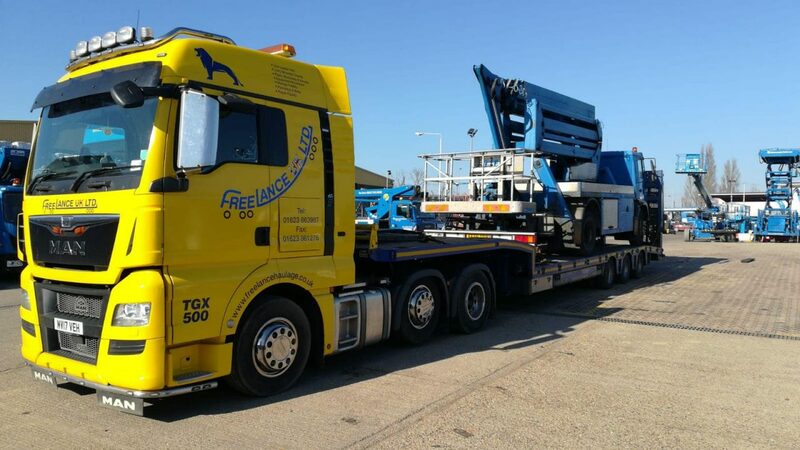 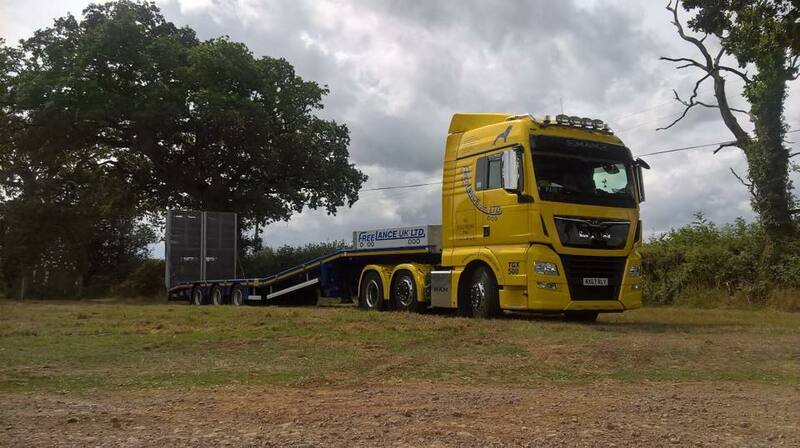 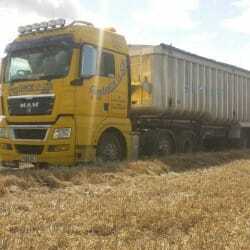 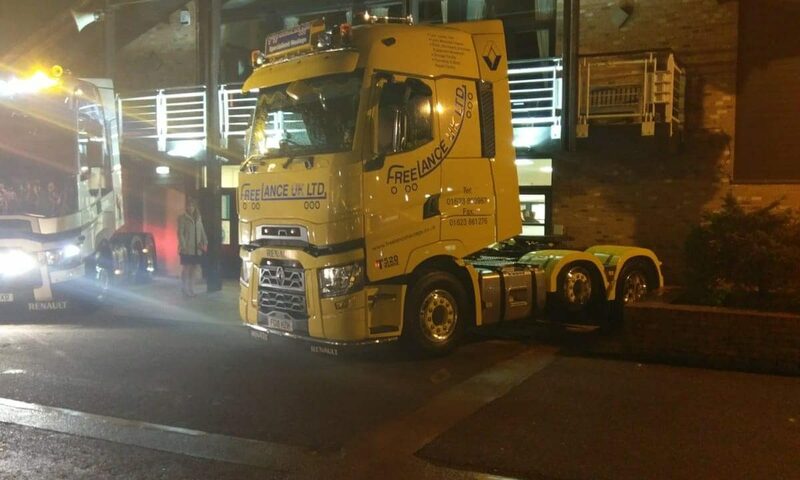 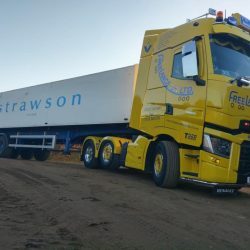 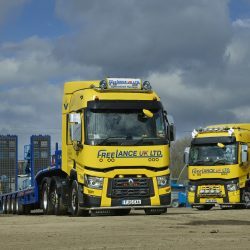 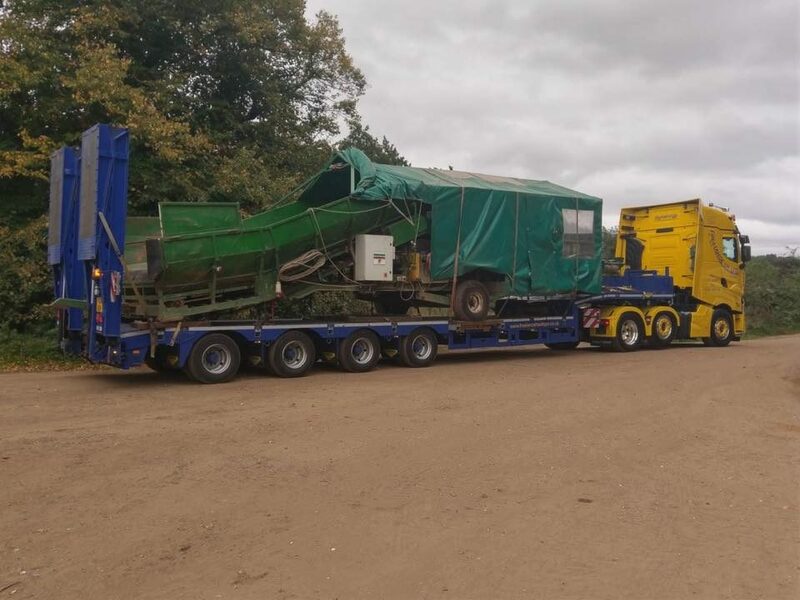 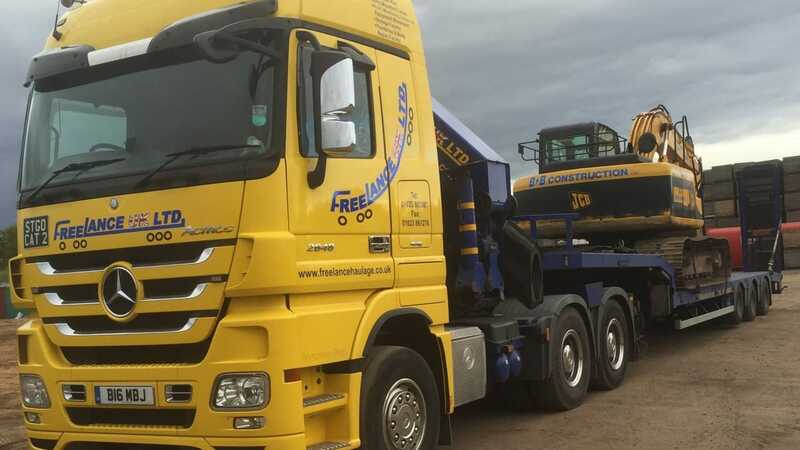 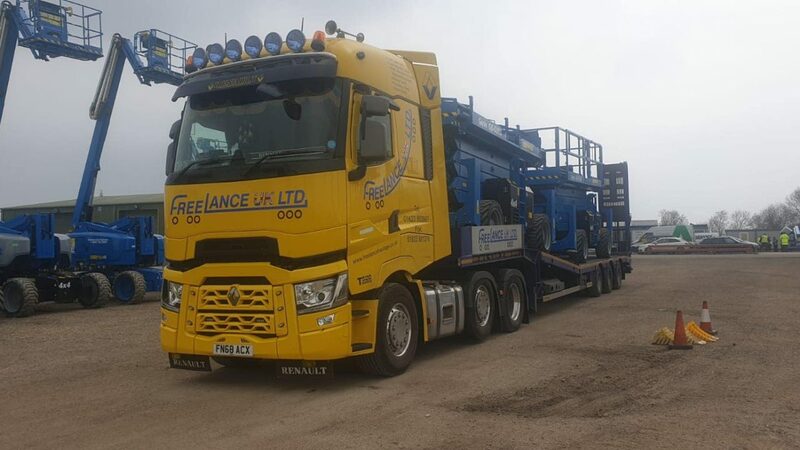 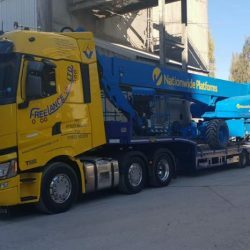 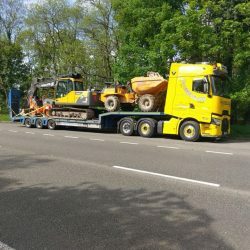 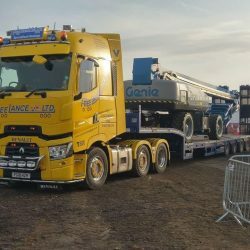 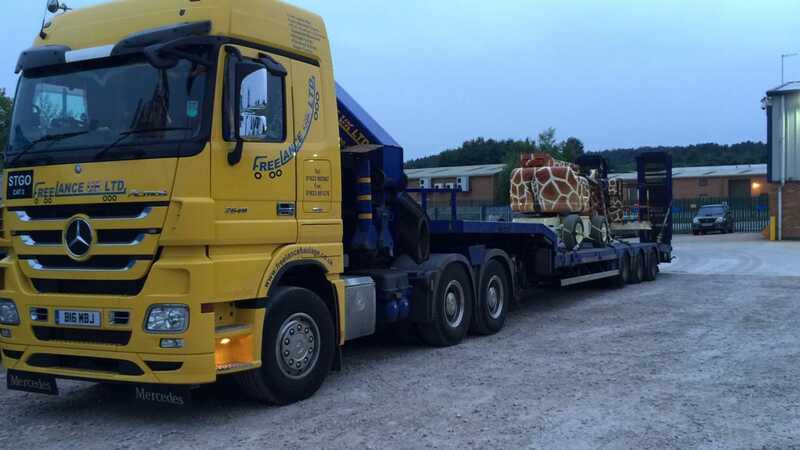 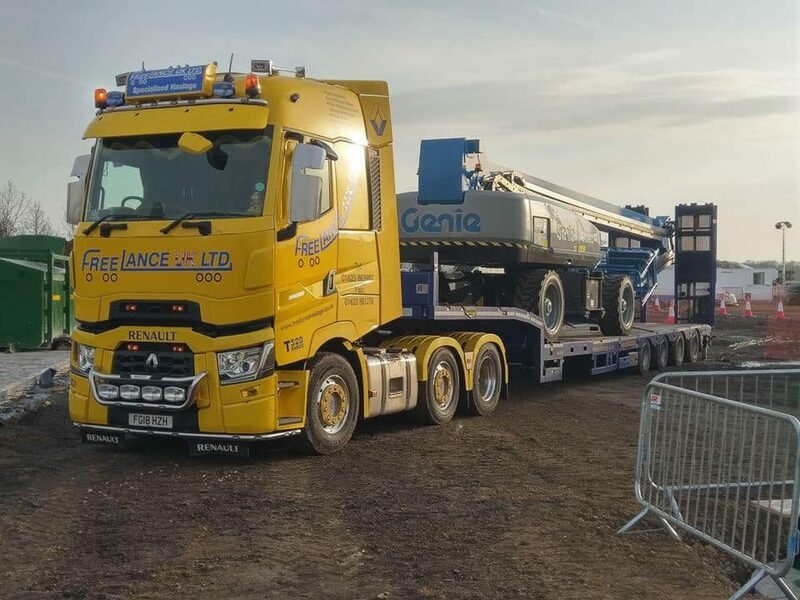 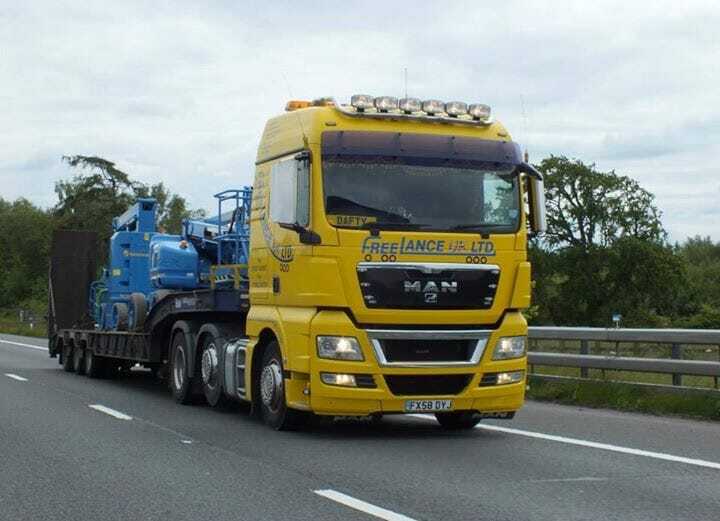 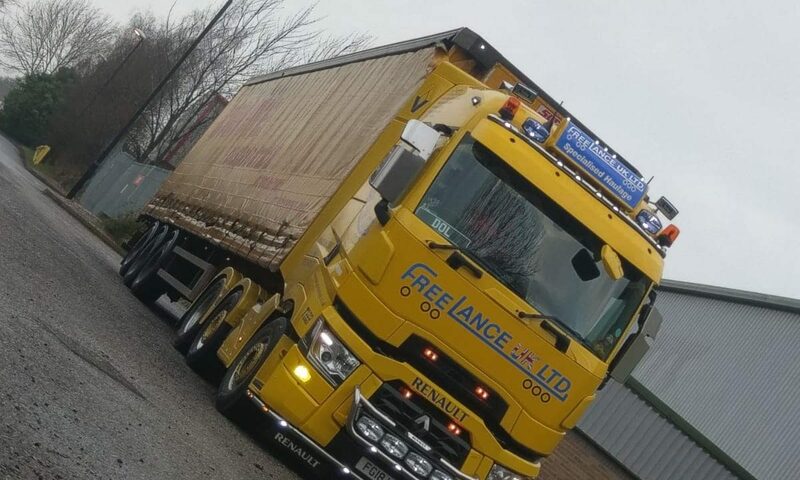 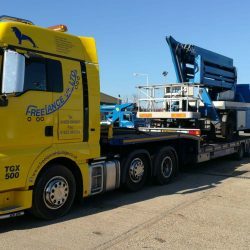 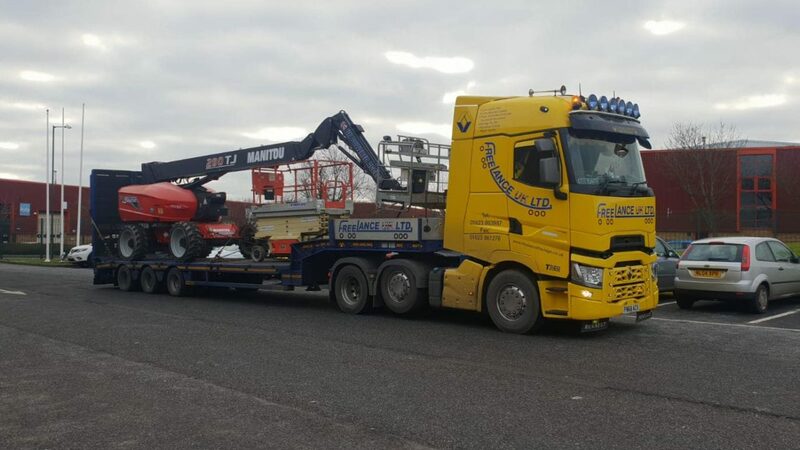 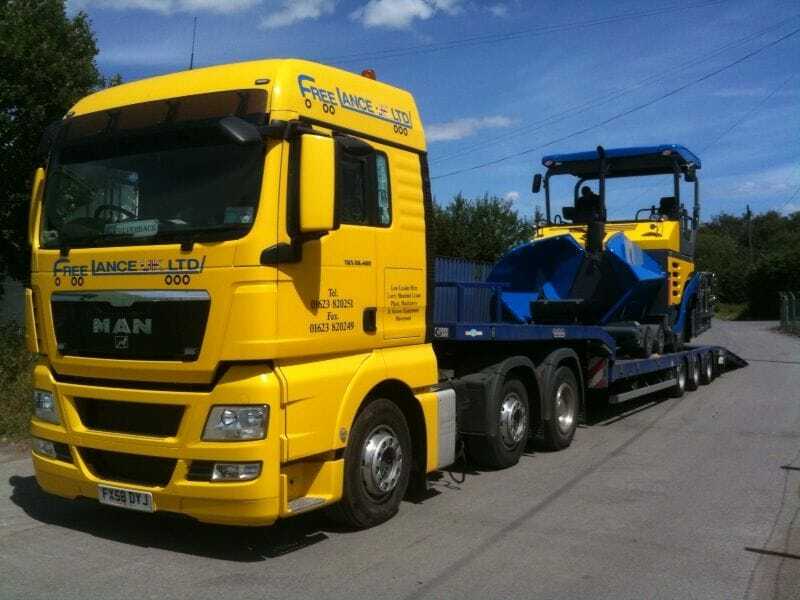 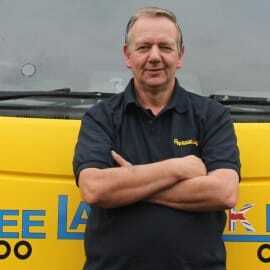 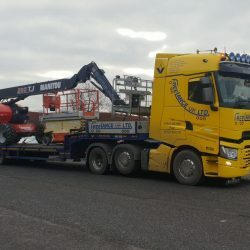 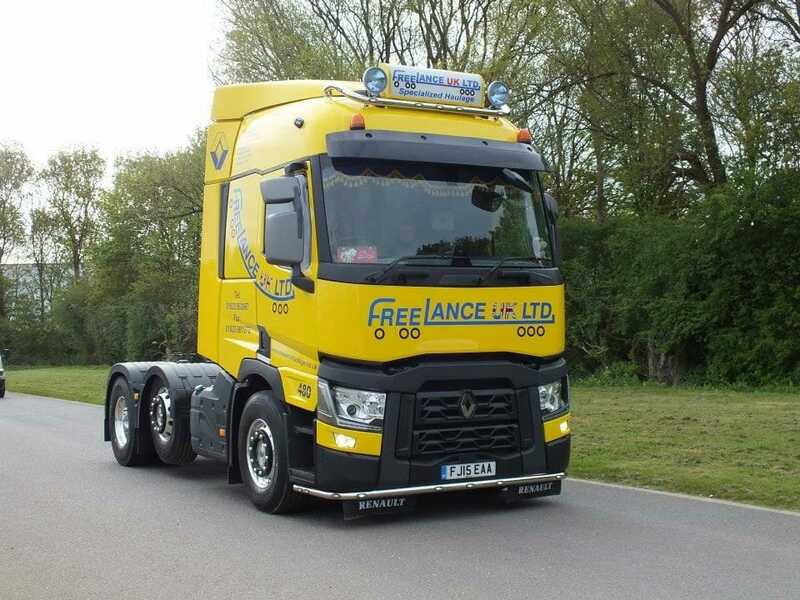 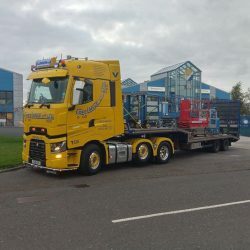 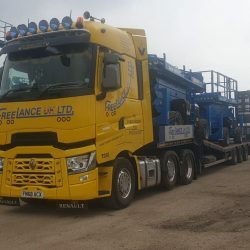 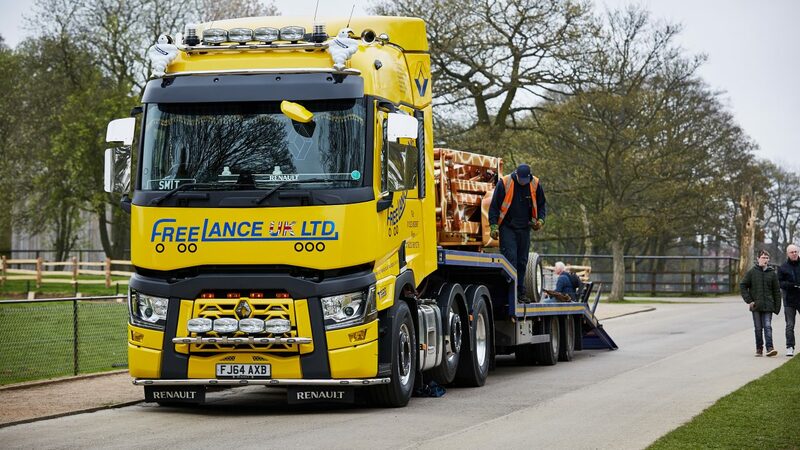 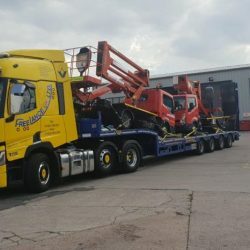 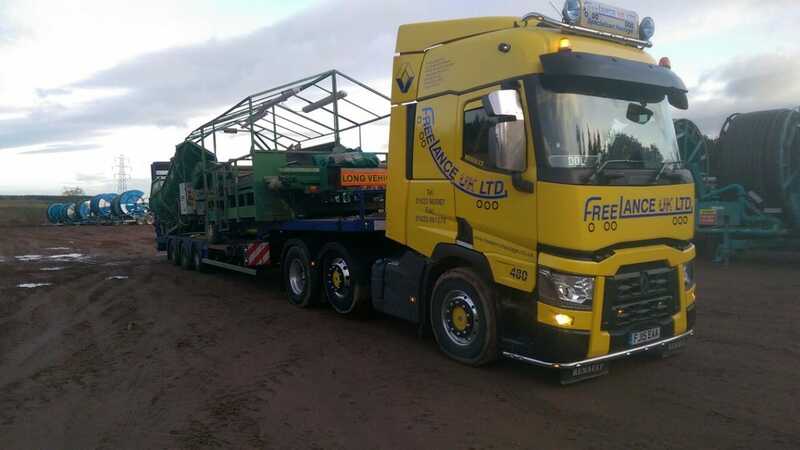 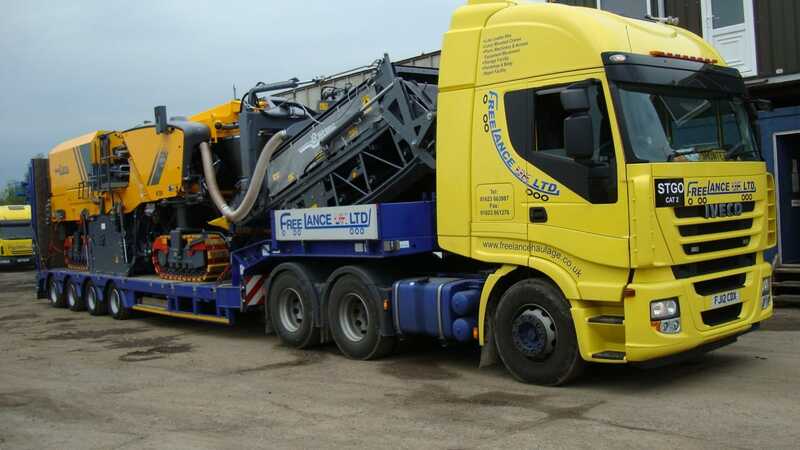 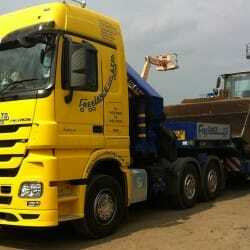 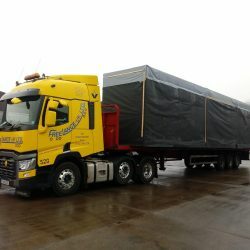 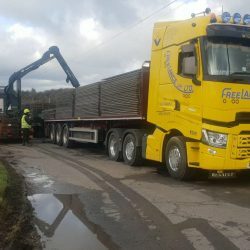 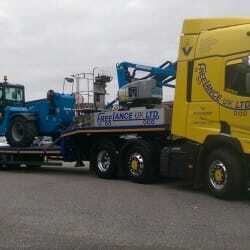 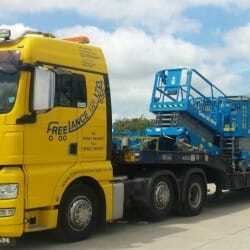 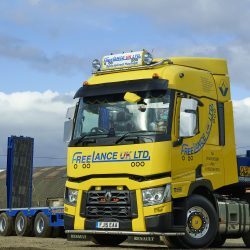 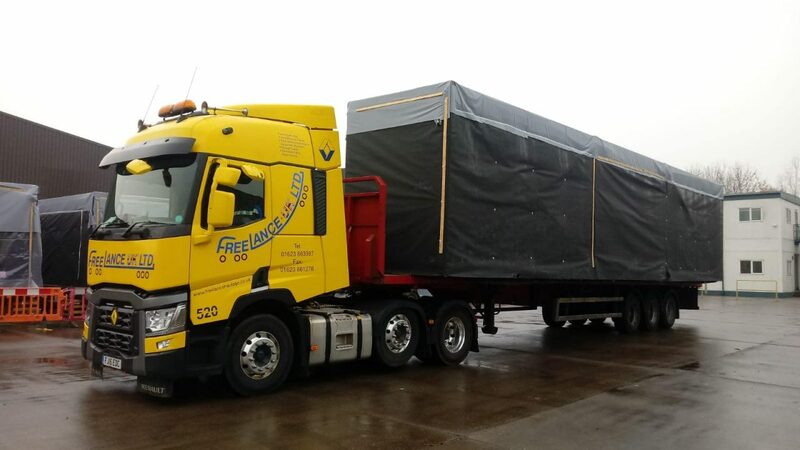 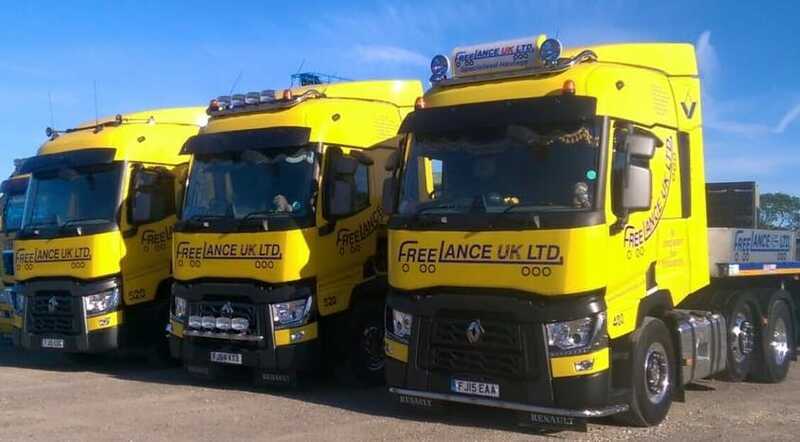 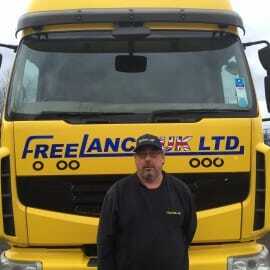 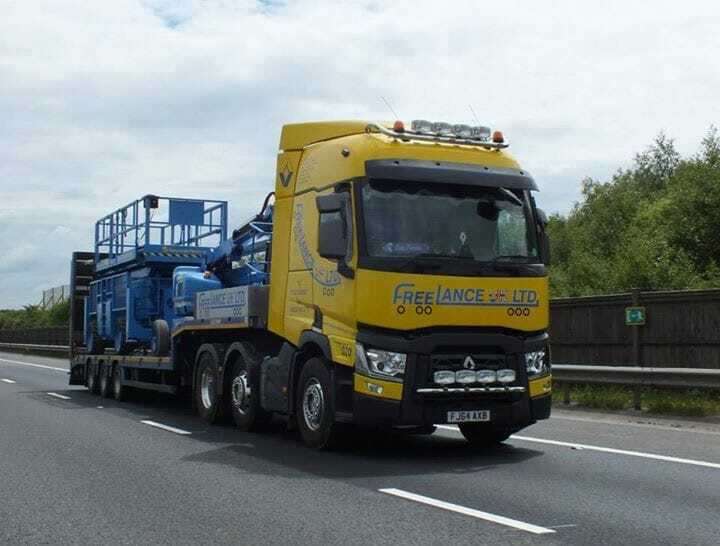 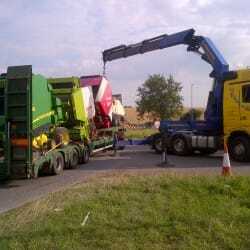 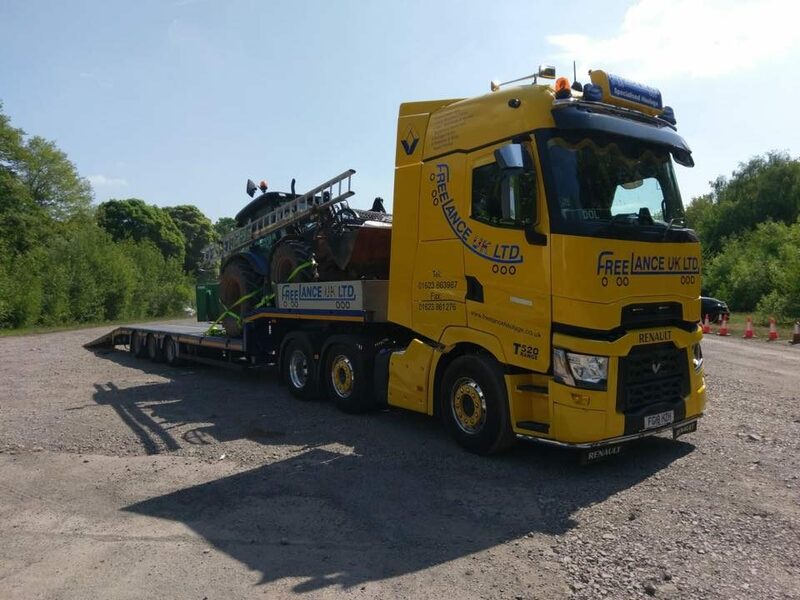 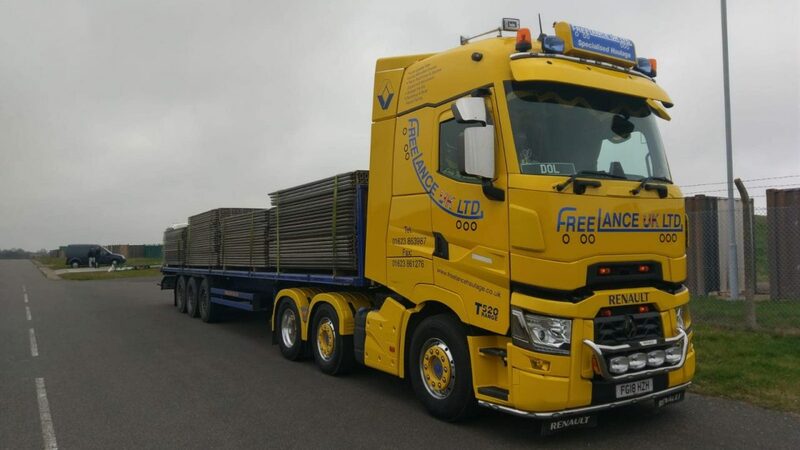 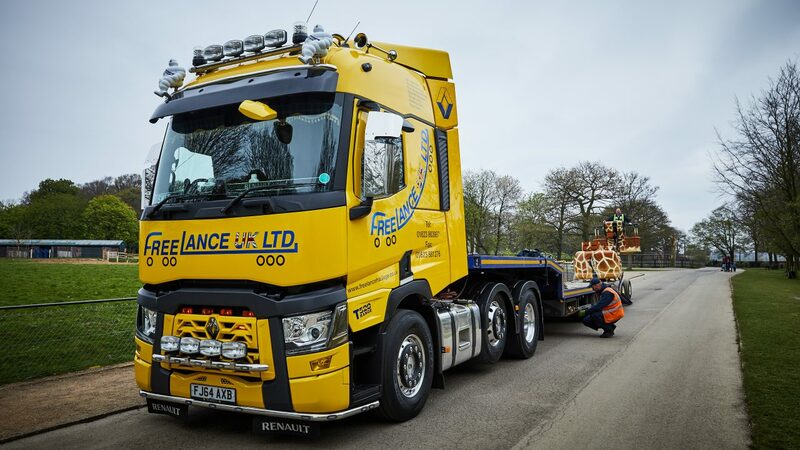 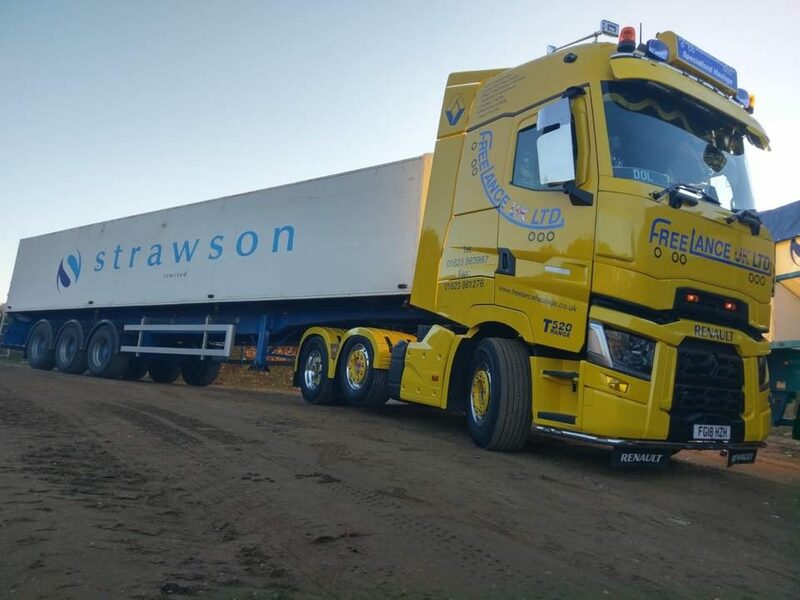 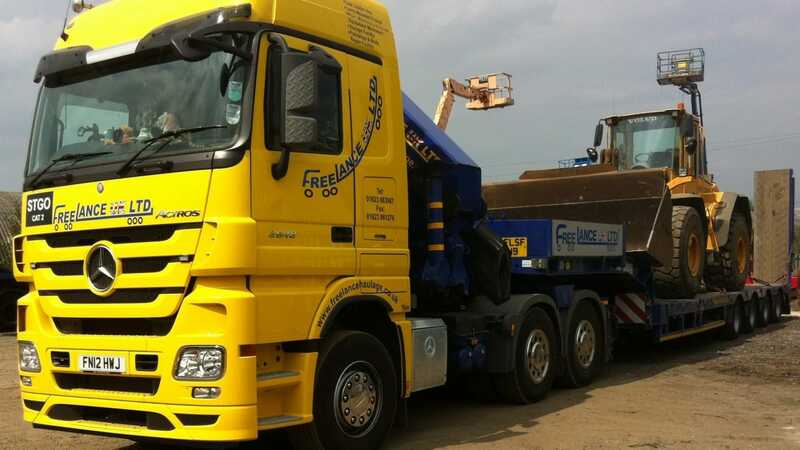 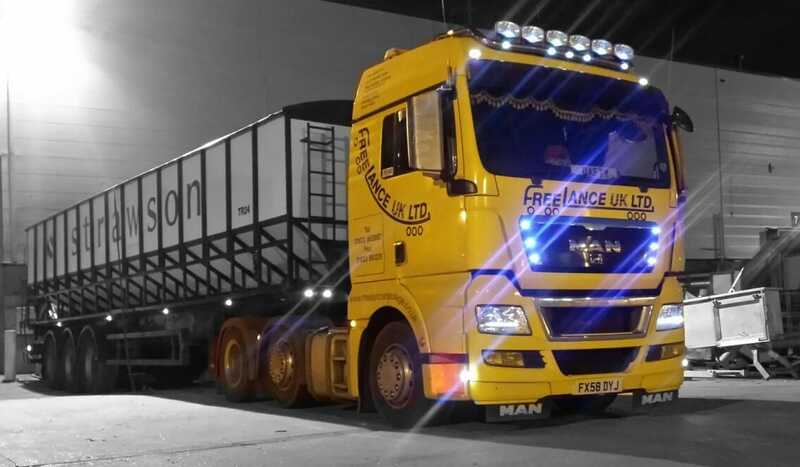 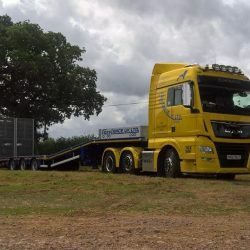 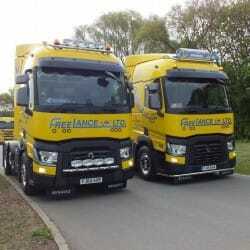 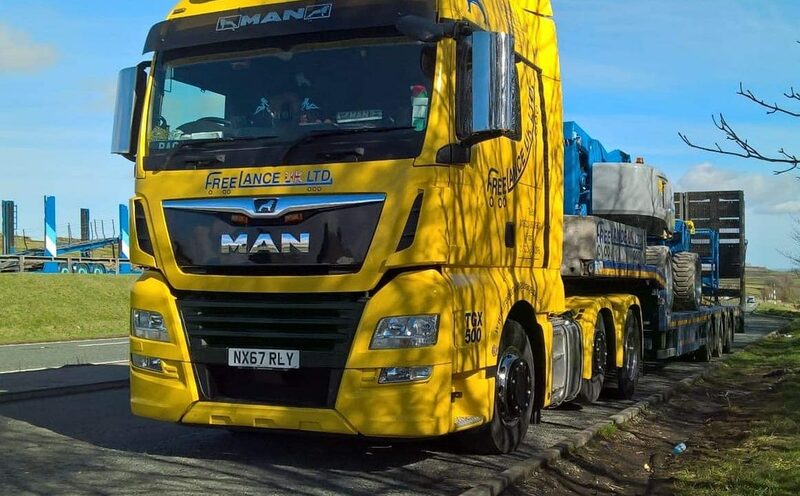 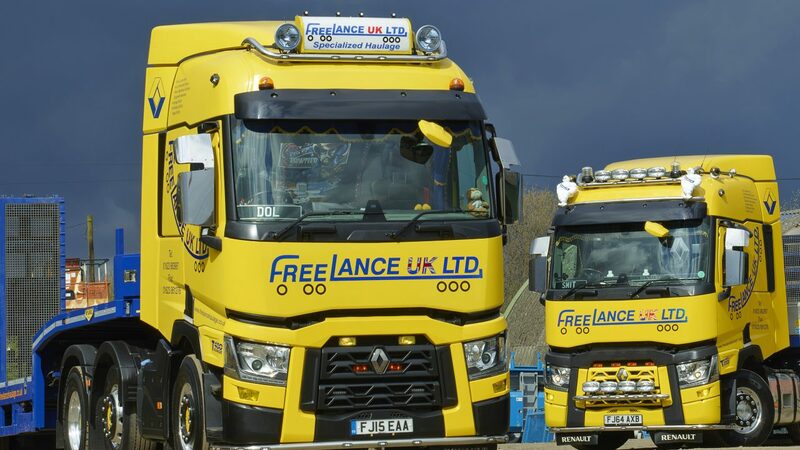 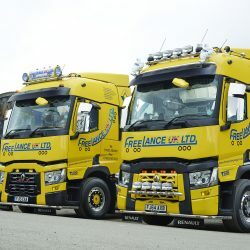 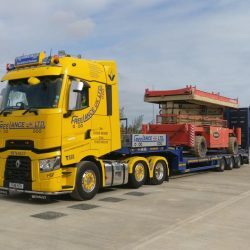 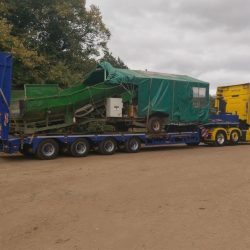 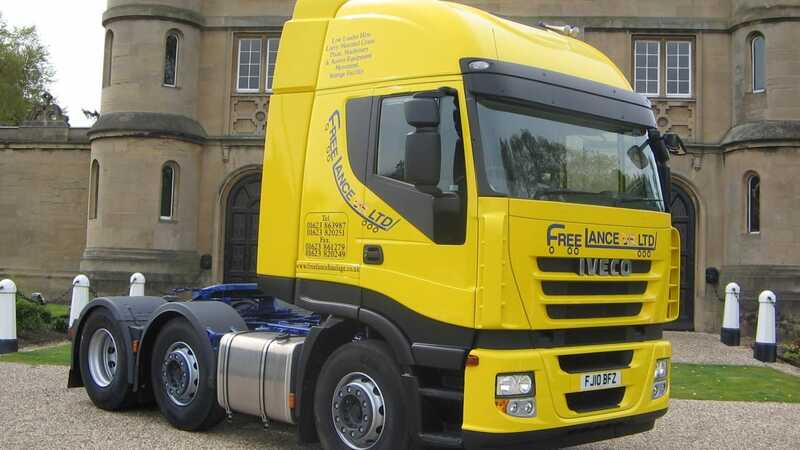 Freelance UK Ltd is an independent, privately owned haulage company based in Boughton, Nottinghamshire. 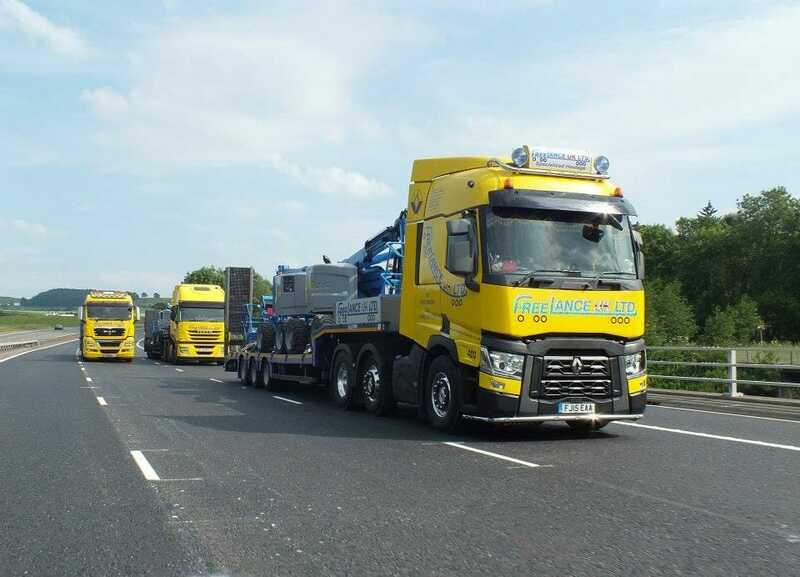 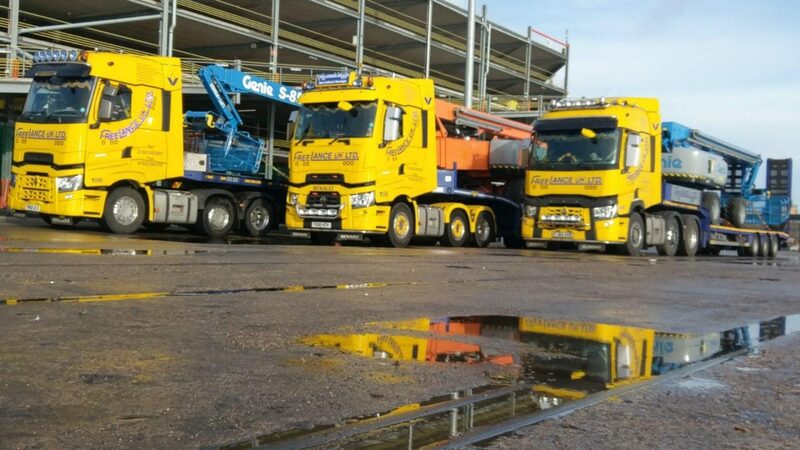 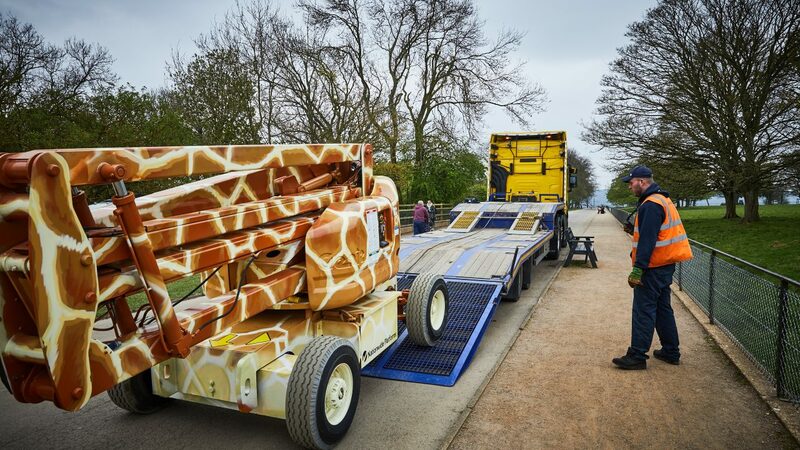 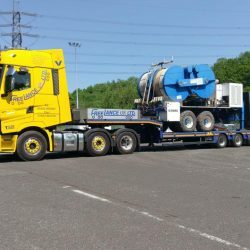 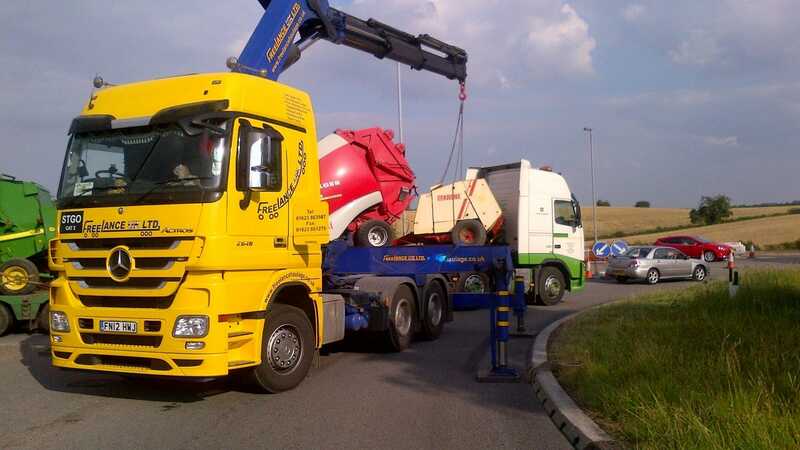 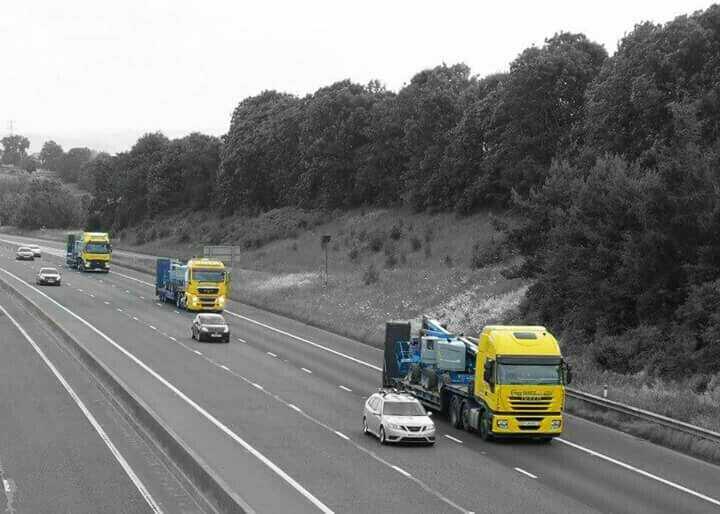 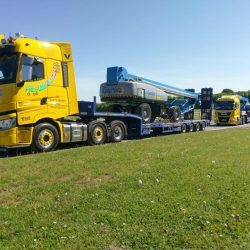 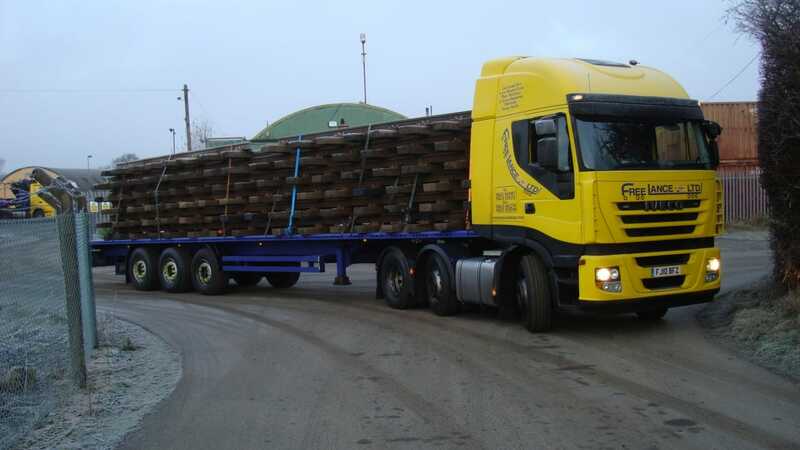 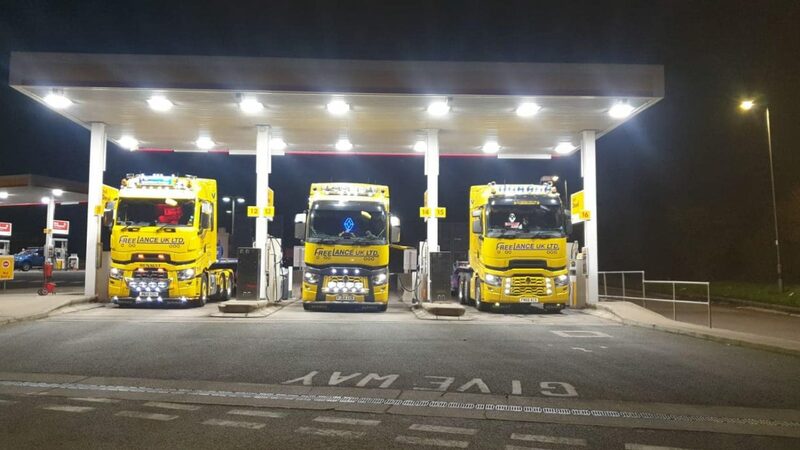 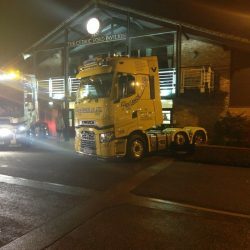 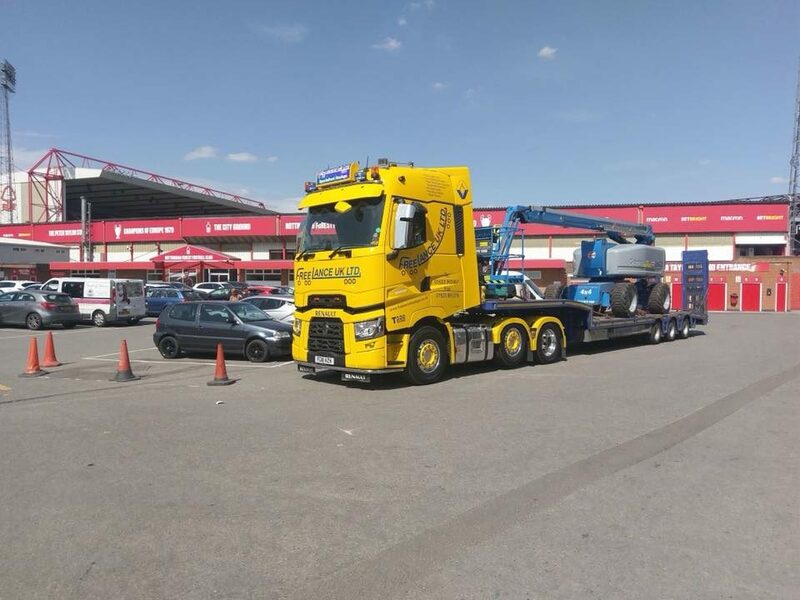 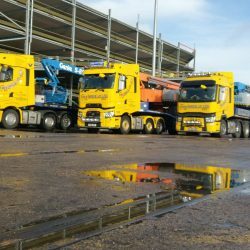 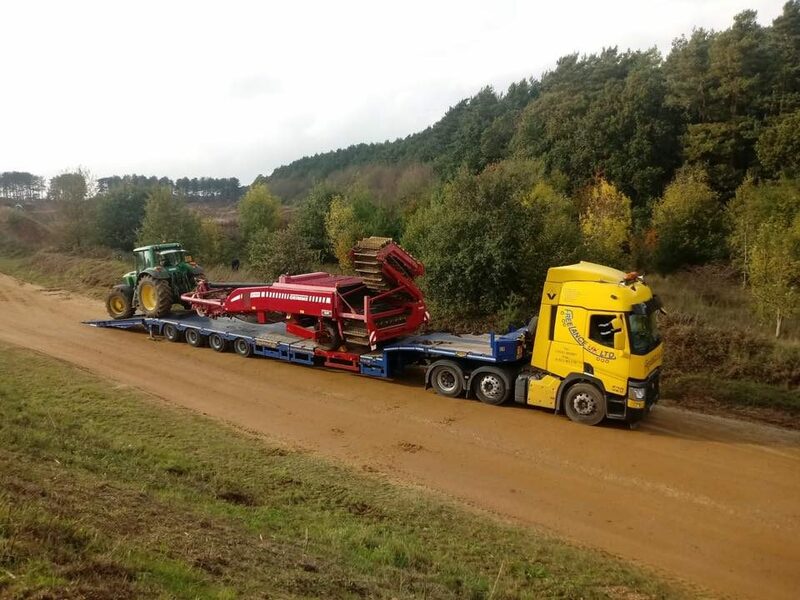 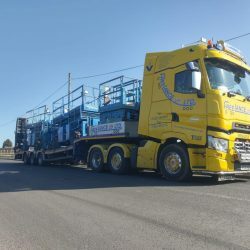 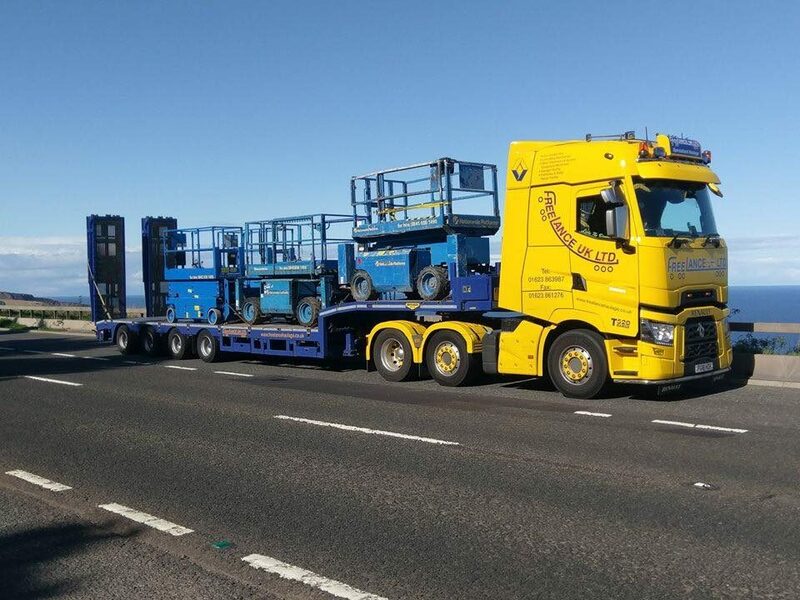 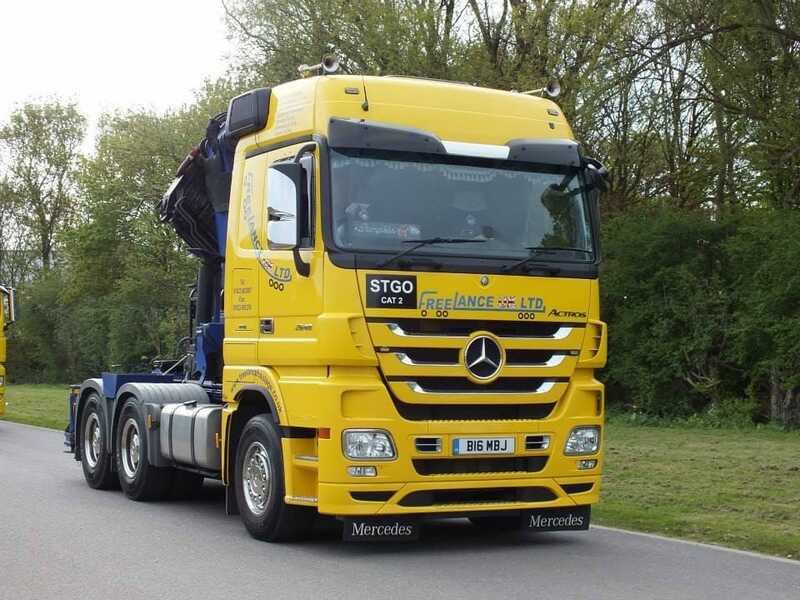 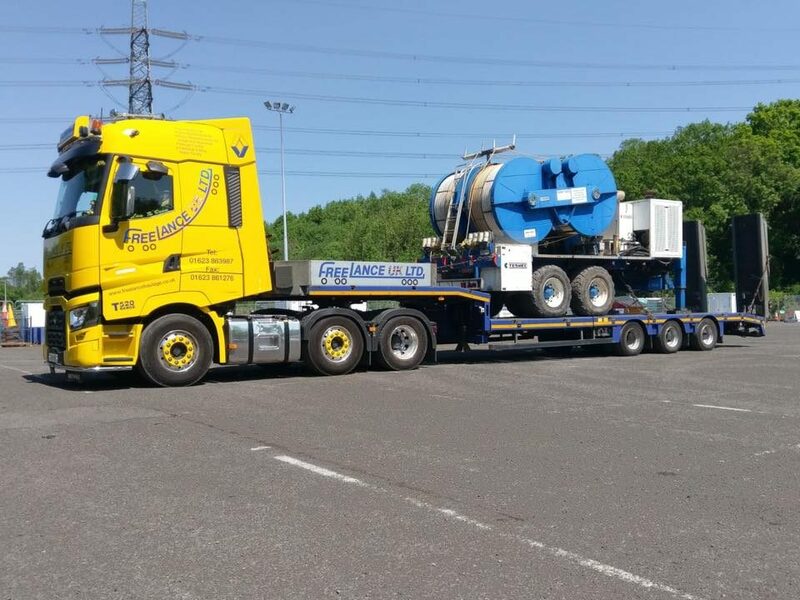 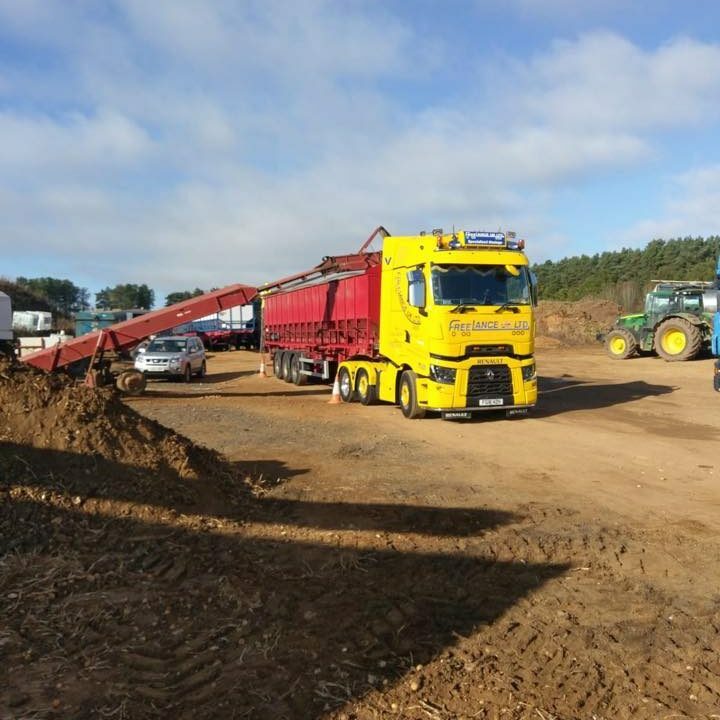 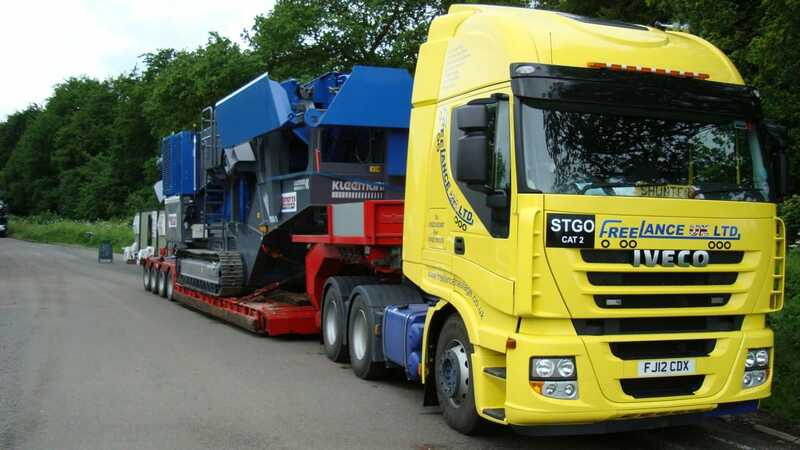 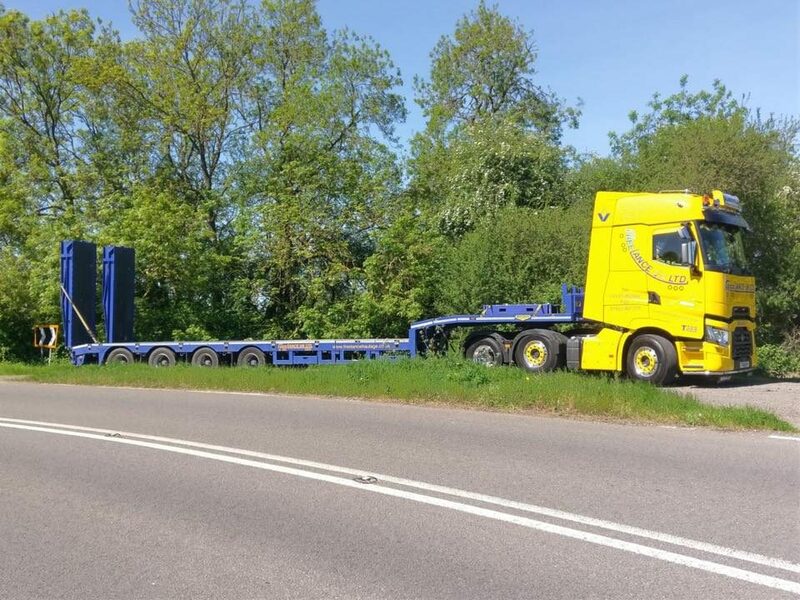 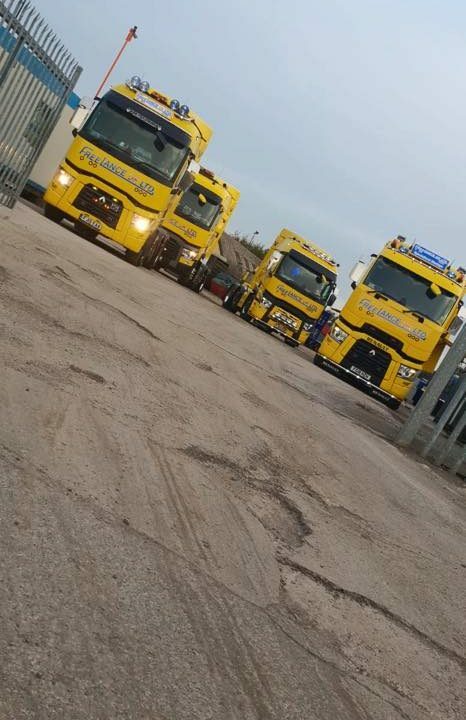 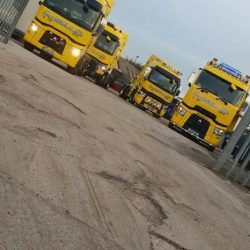 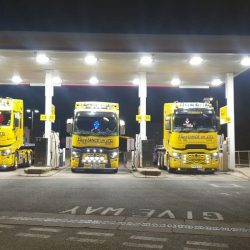 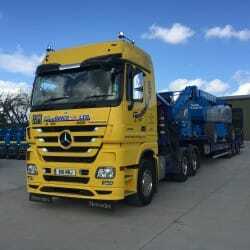 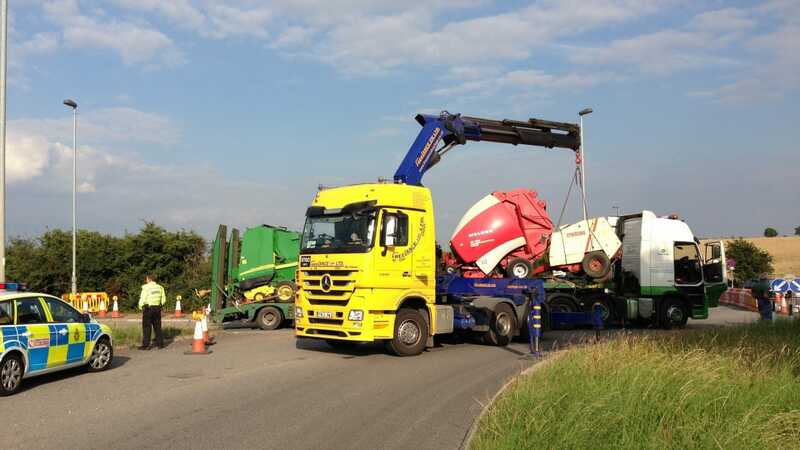 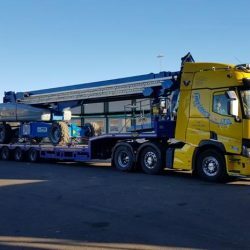 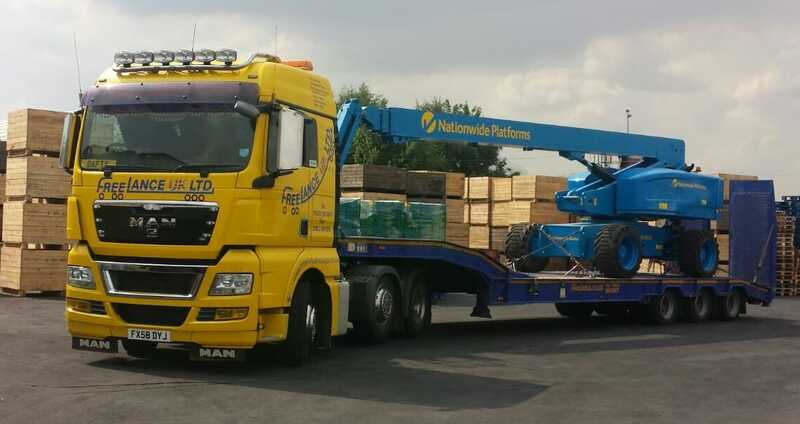 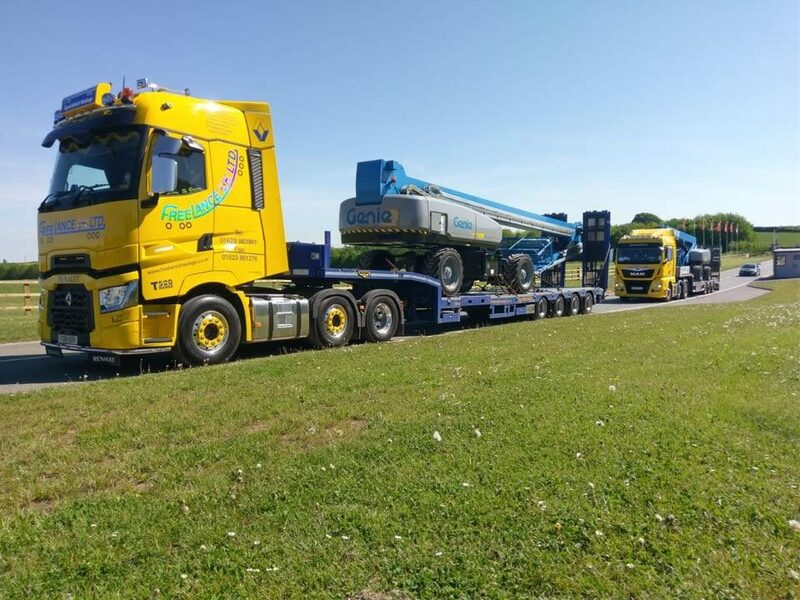 As one of Nottinghamshire’s most respected haulage companies, we offer a wide range of services underpinned by the highest standards of quality and reliability. 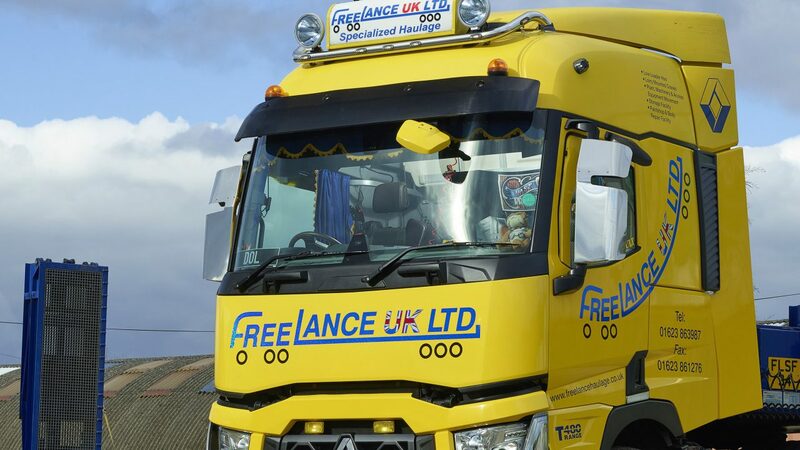 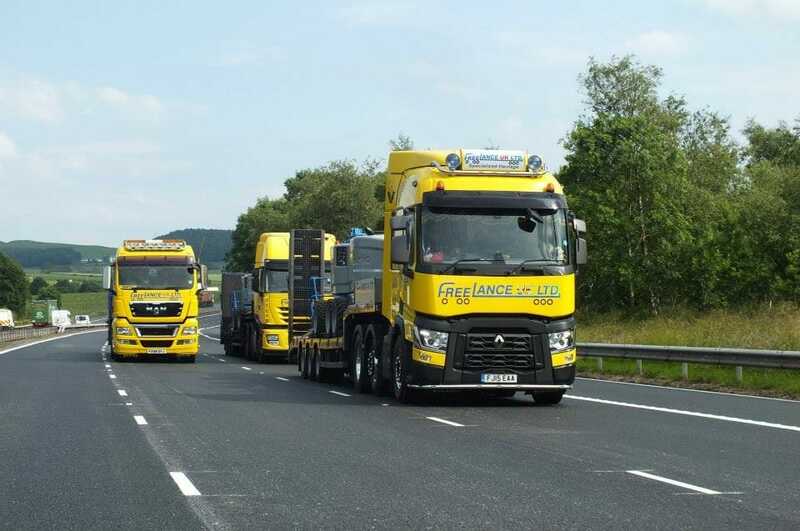 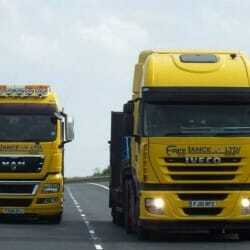 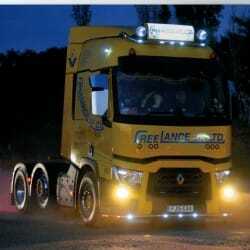 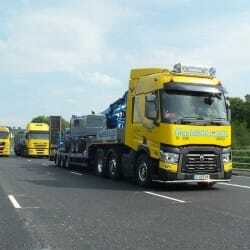 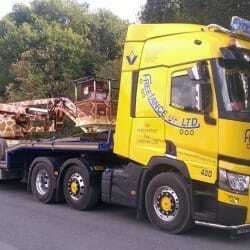 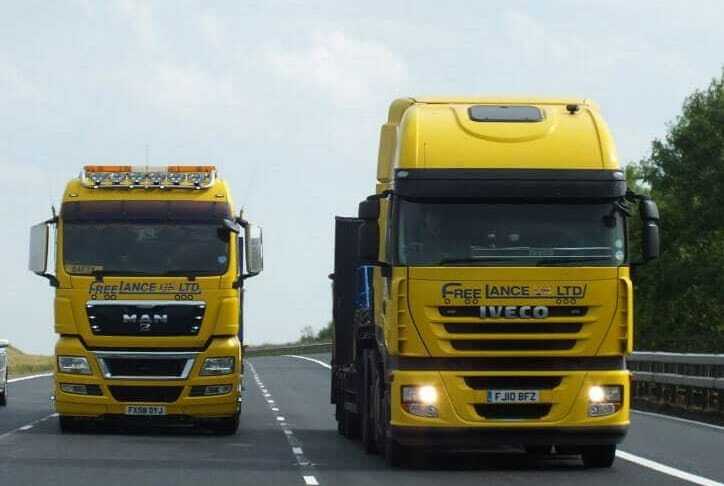 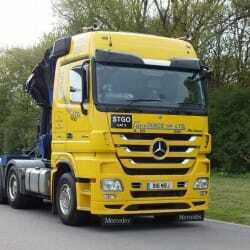 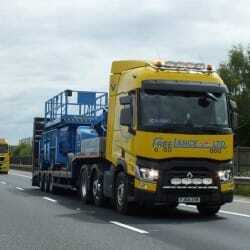 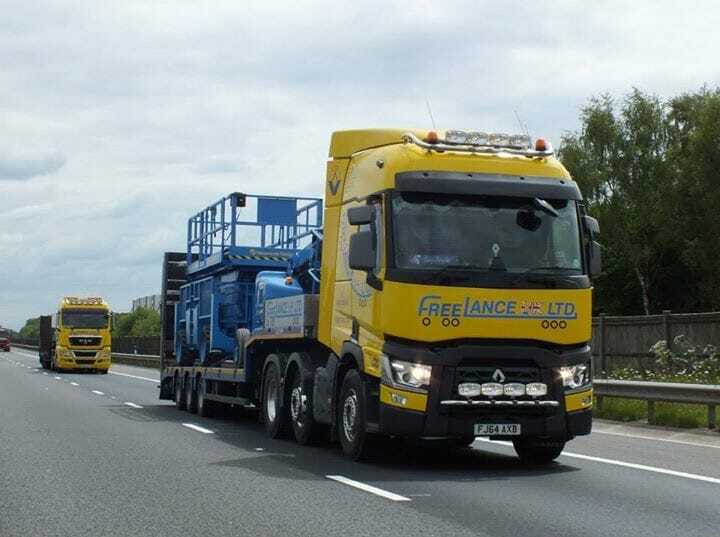 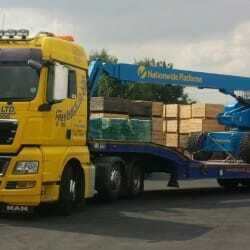 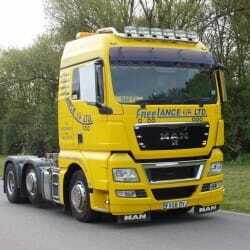 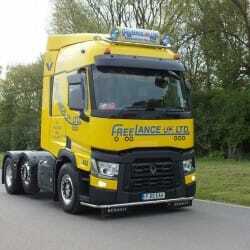 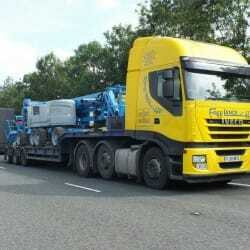 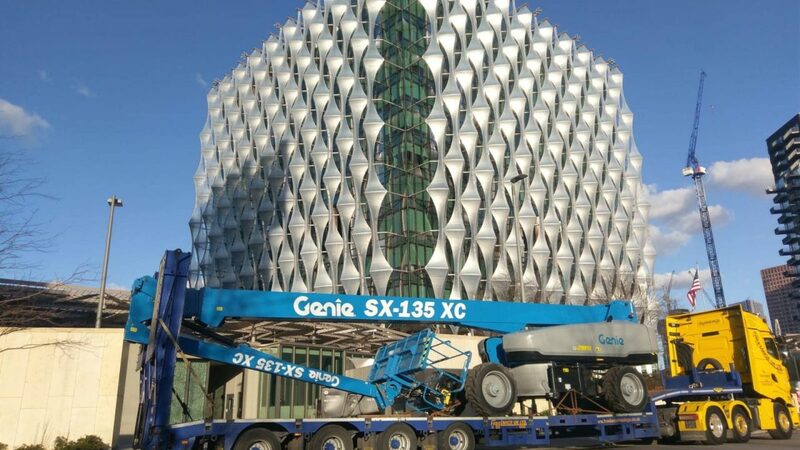 Freelance UK Ltd offers a professional friendly dedicated service for all transport and haulage requirements. 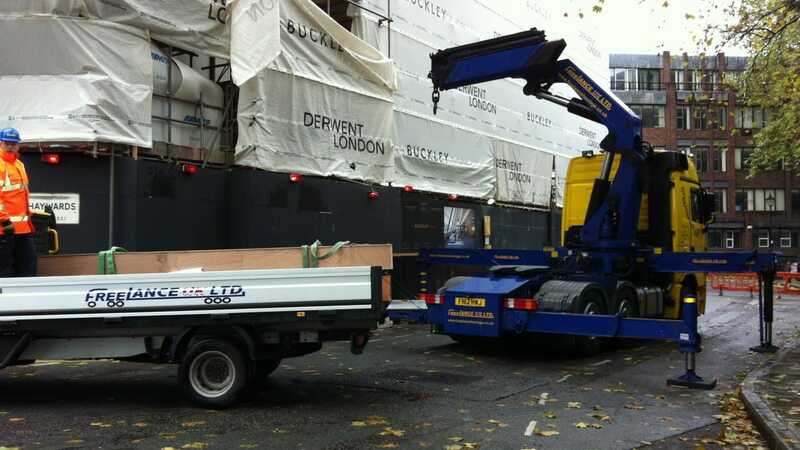 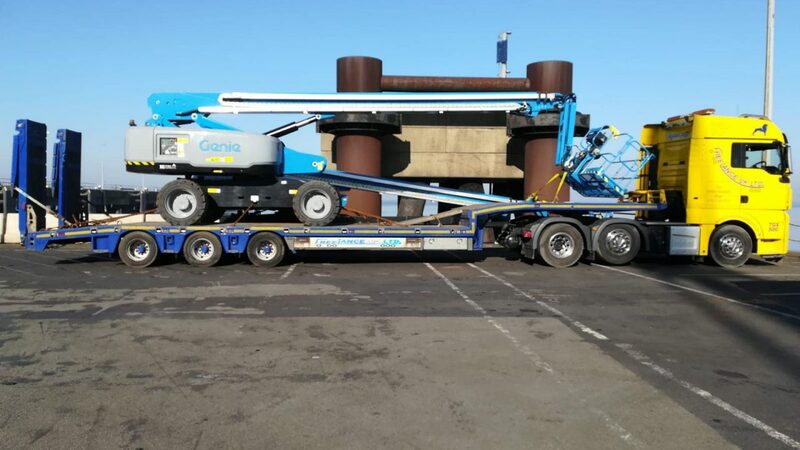 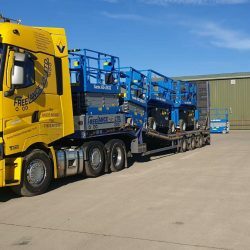 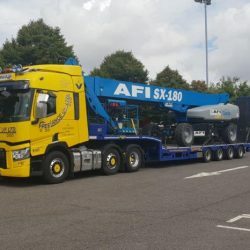 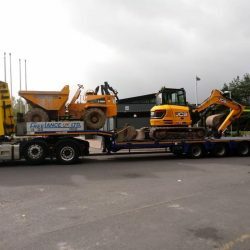 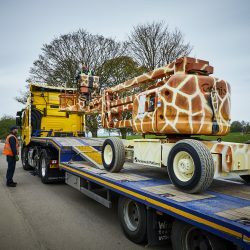 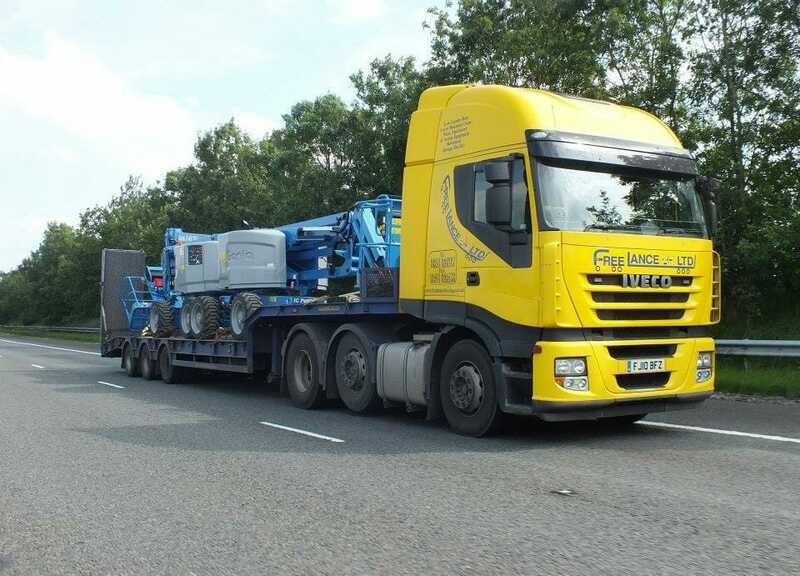 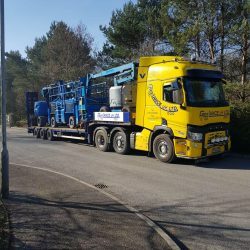 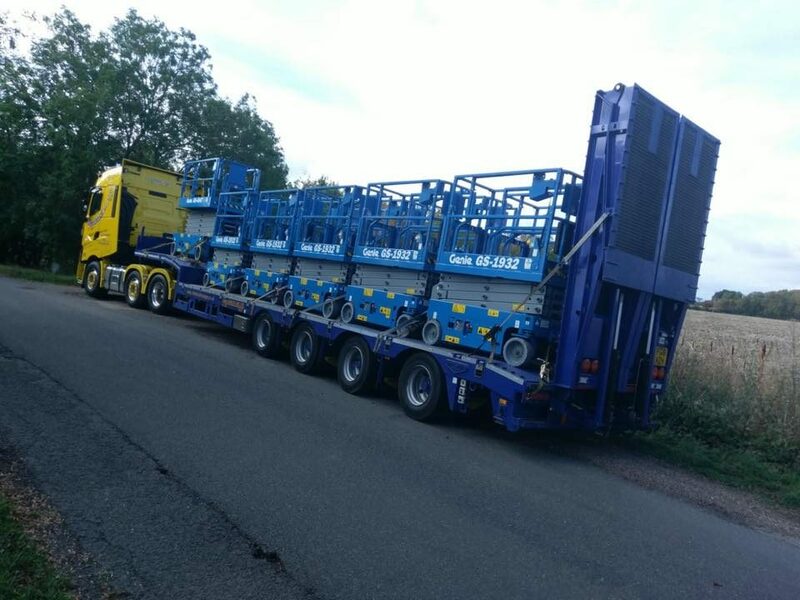 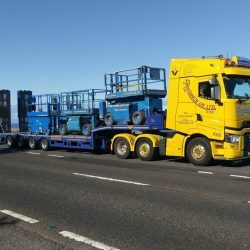 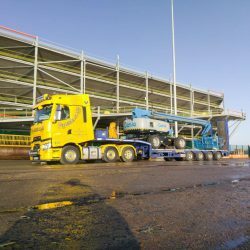 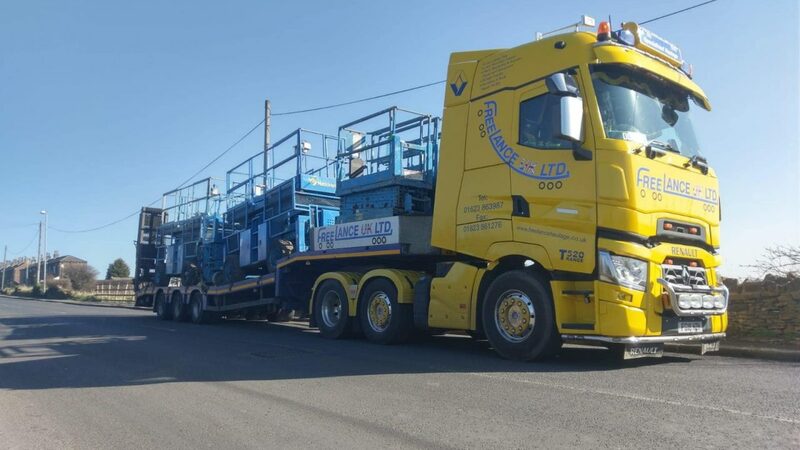 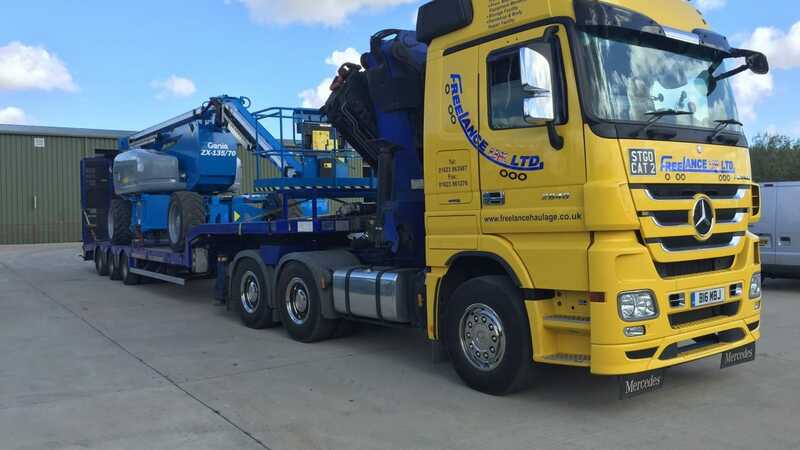 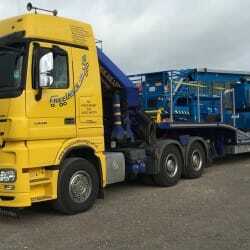 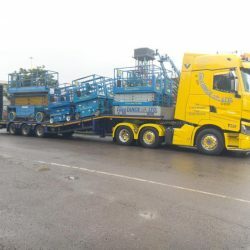 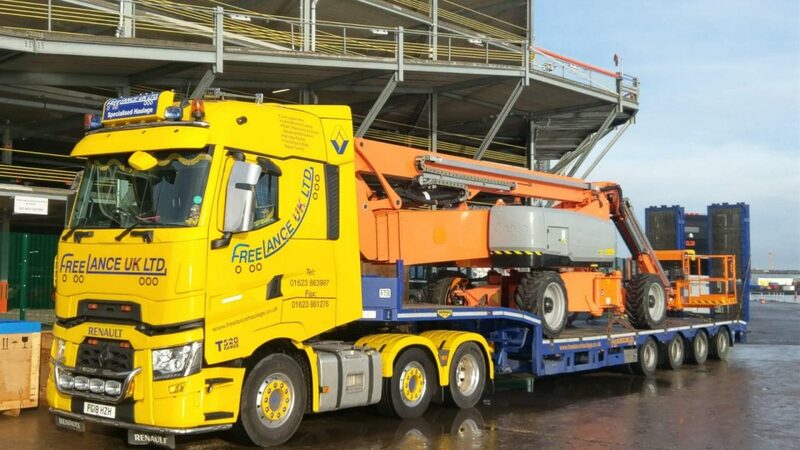 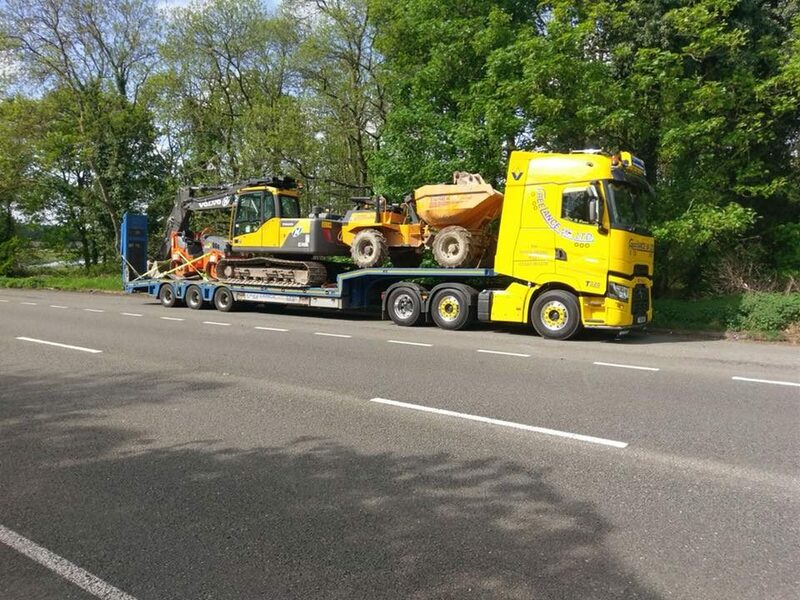 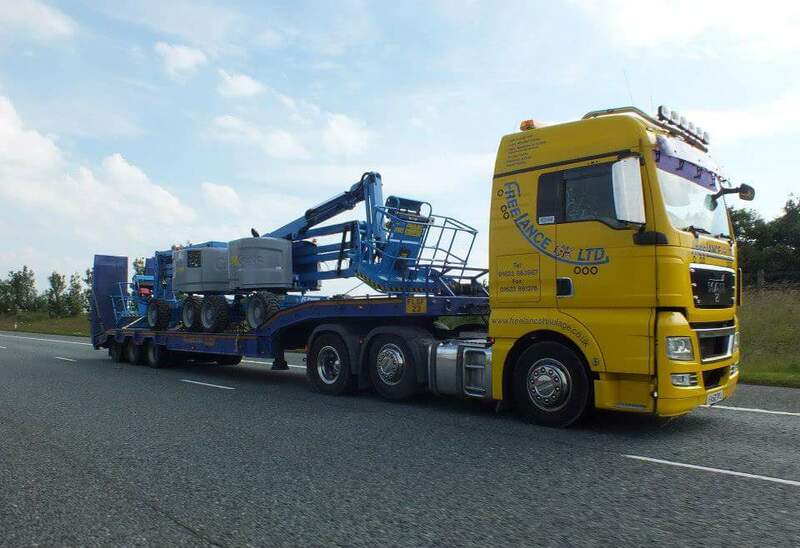 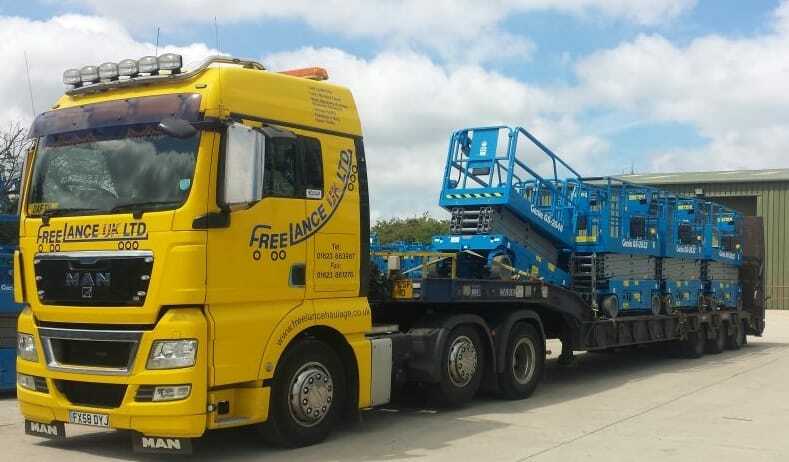 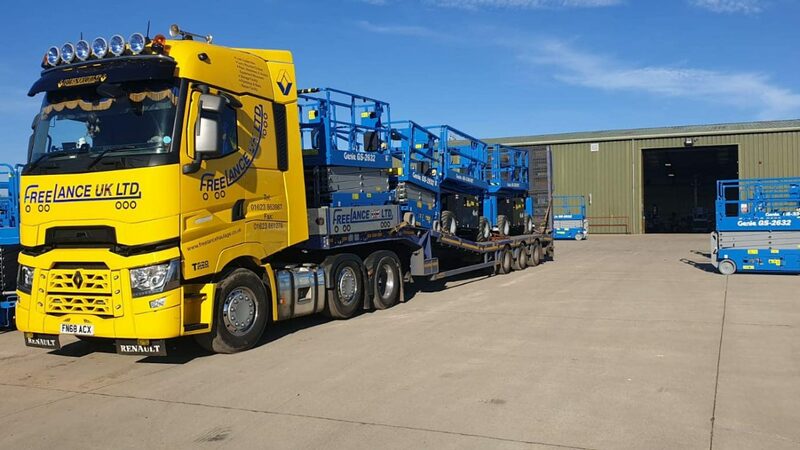 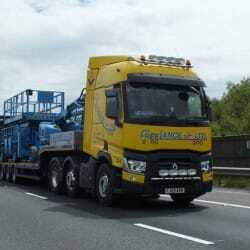 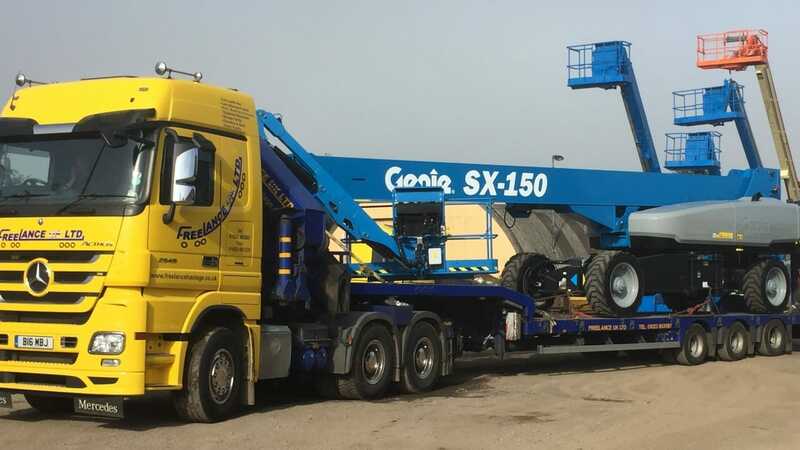 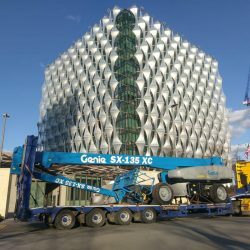 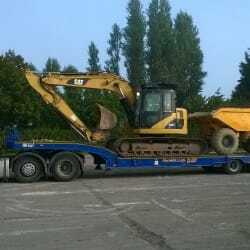 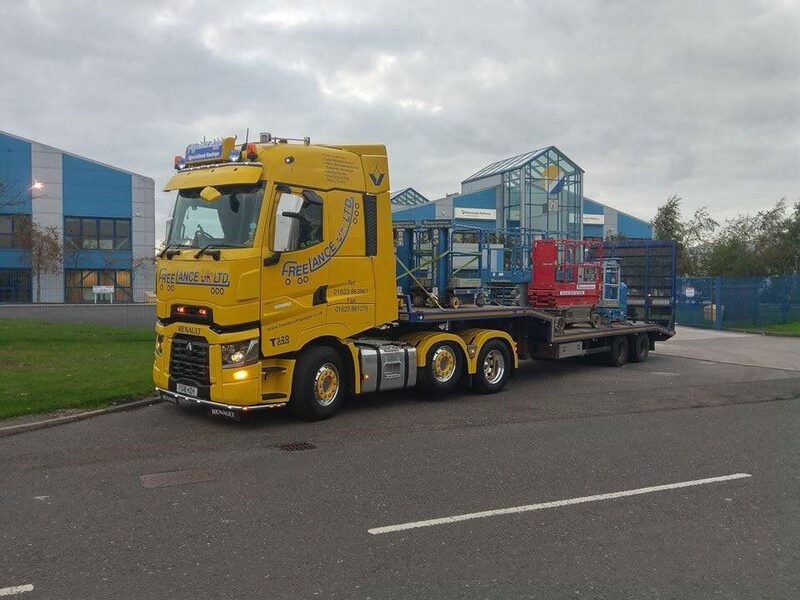 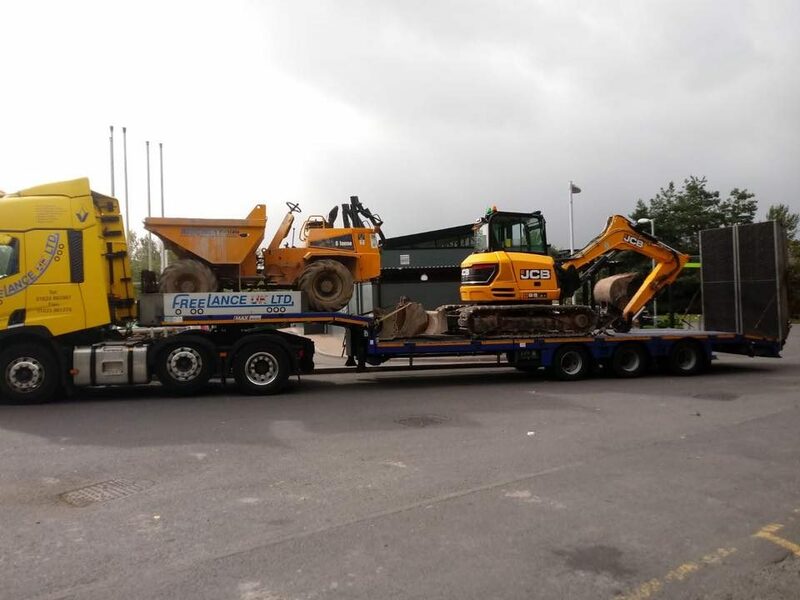 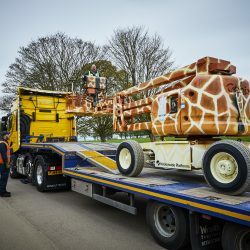 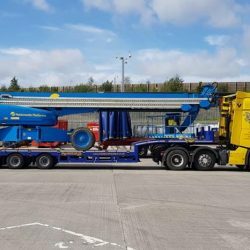 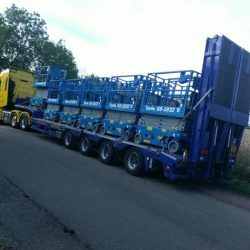 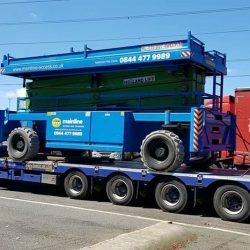 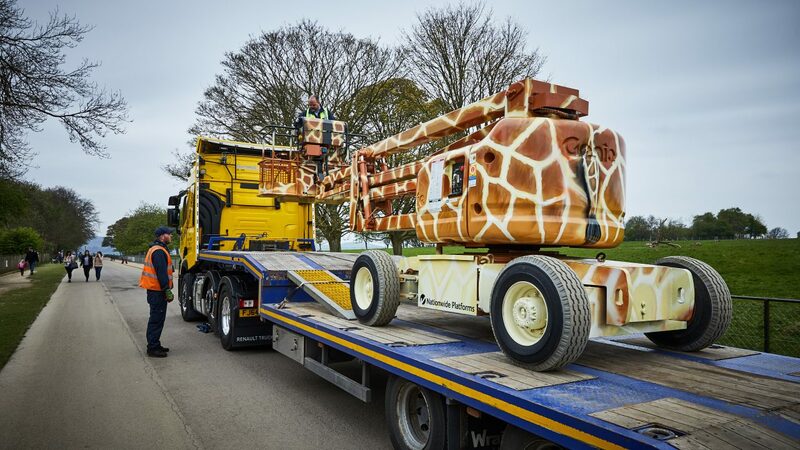 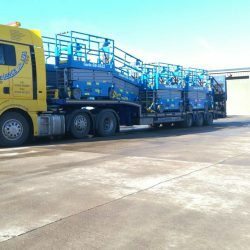 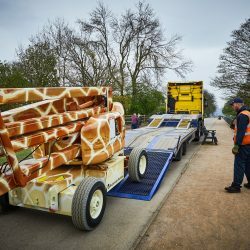 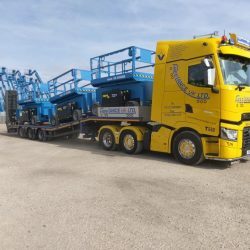 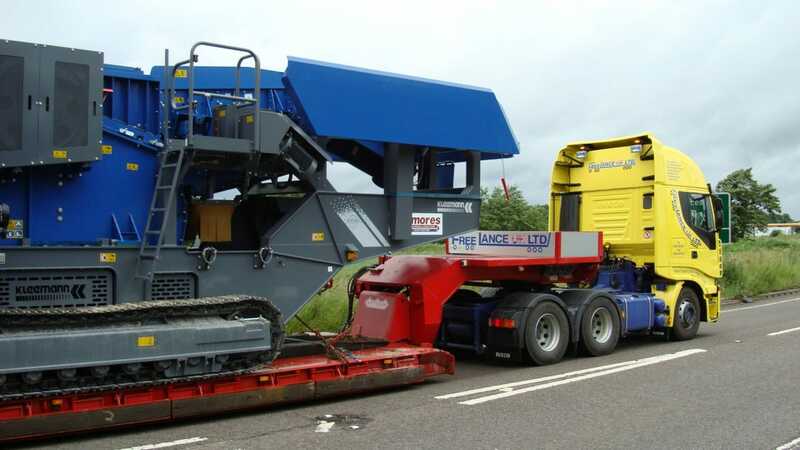 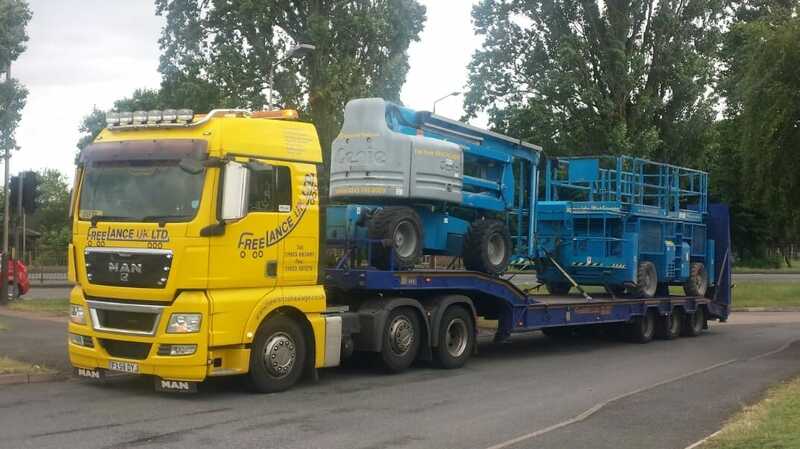 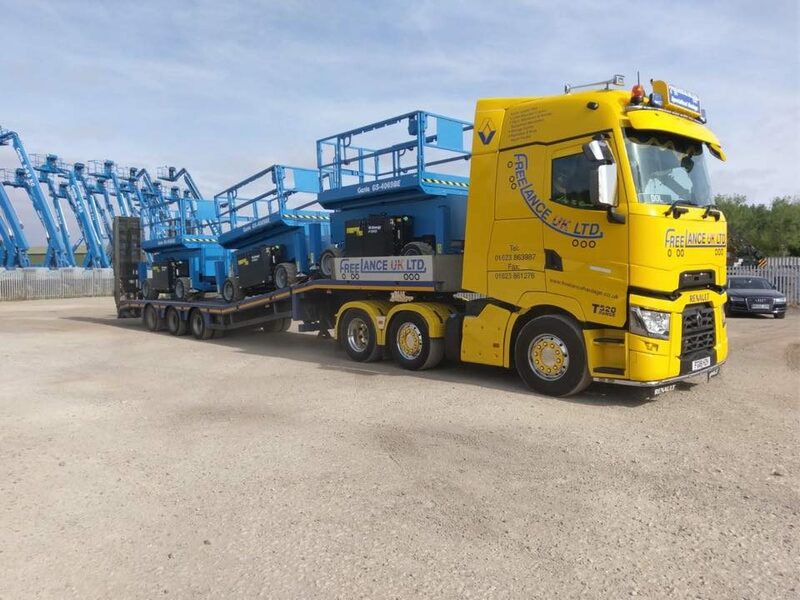 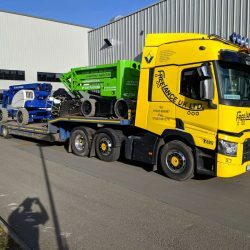 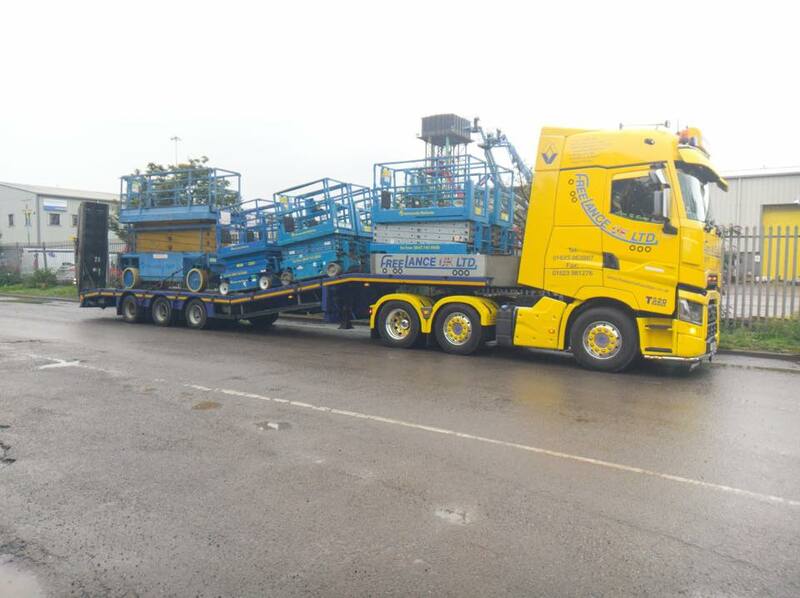 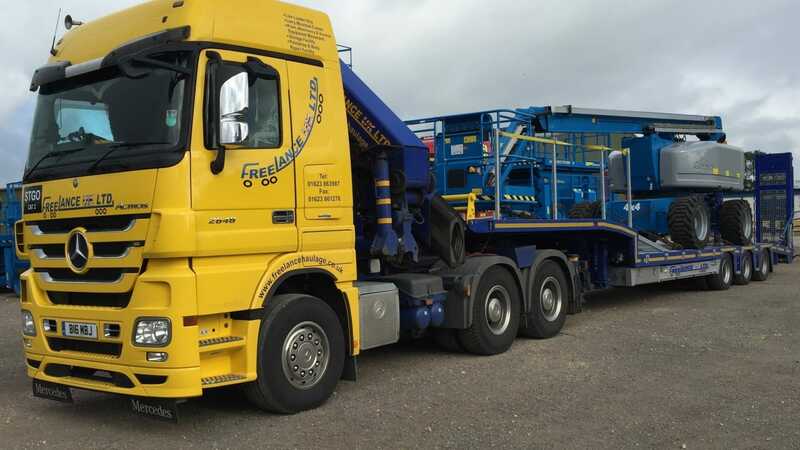 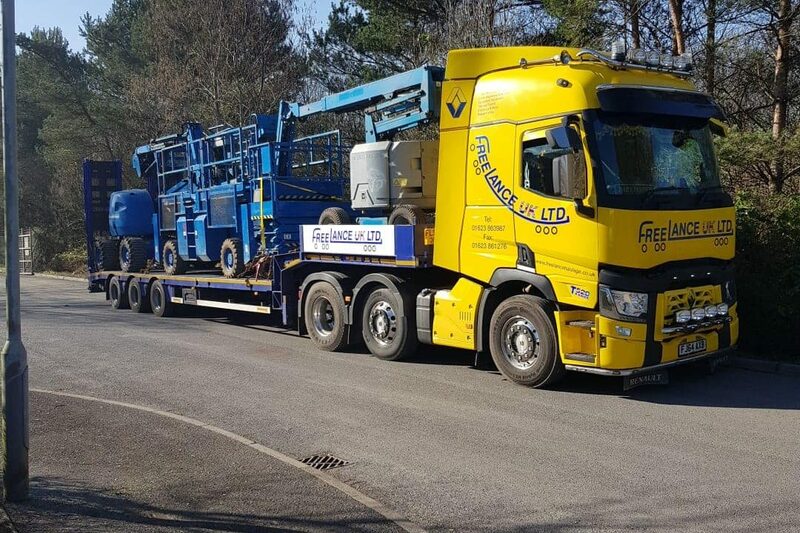 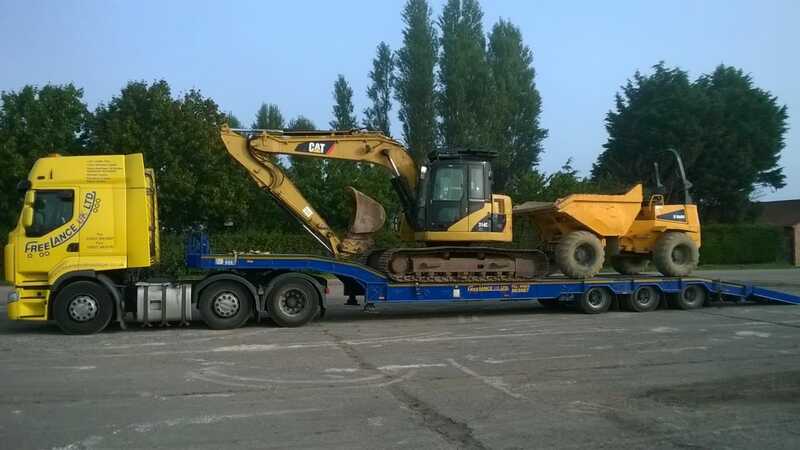 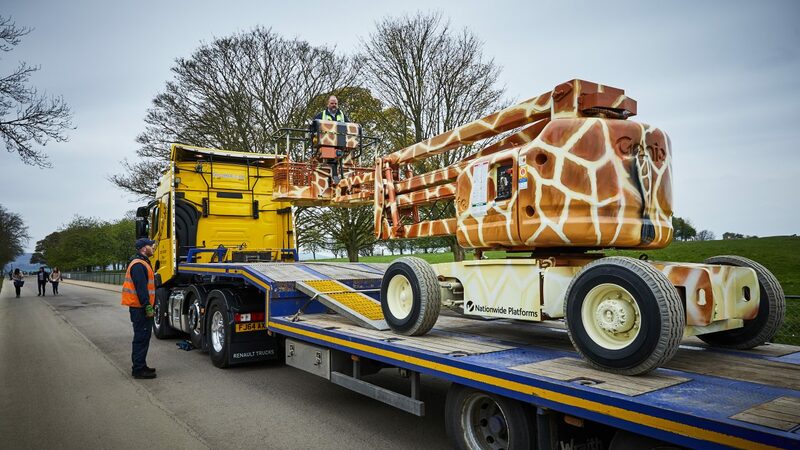 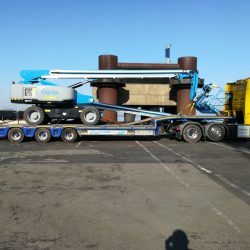 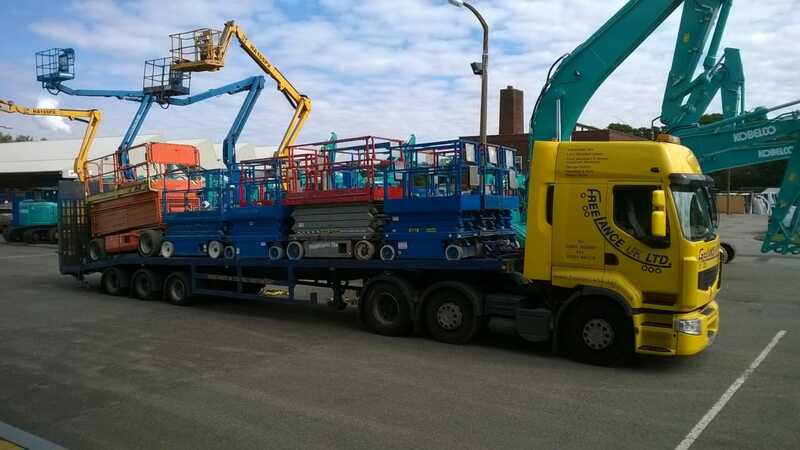 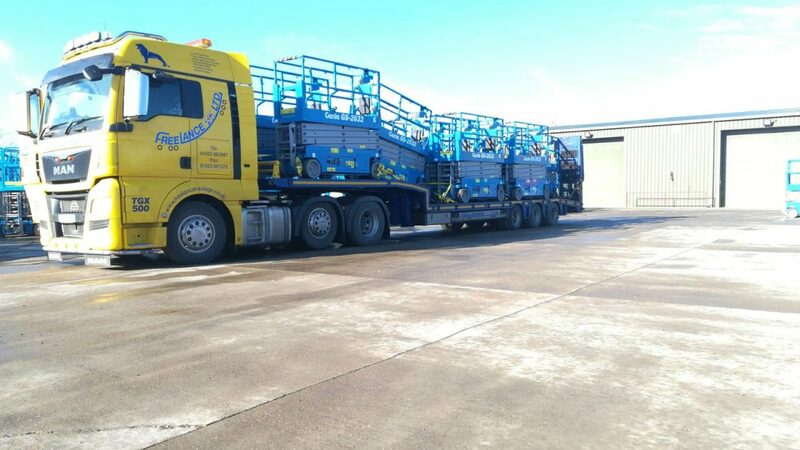 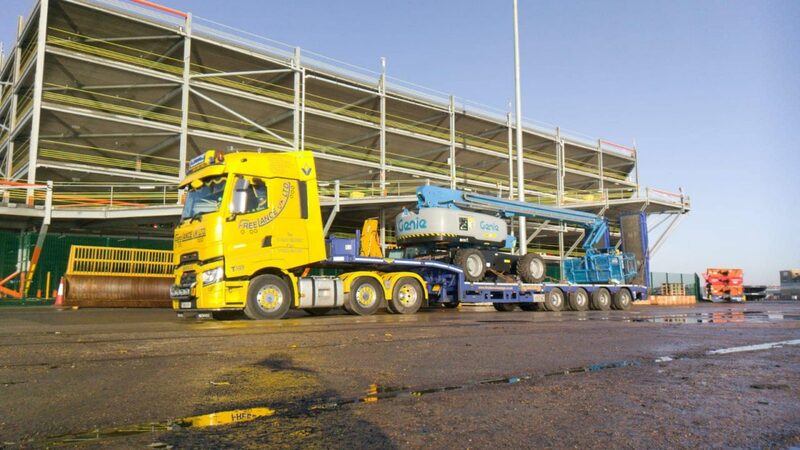 We operate a modern fleet of heavy vehicles from low loaders to beavertails, specifically designed to carry access platforms and plant equipment. 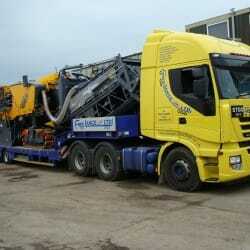 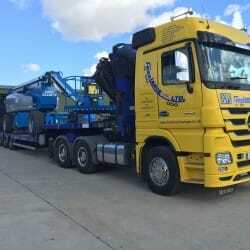 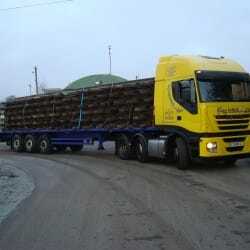 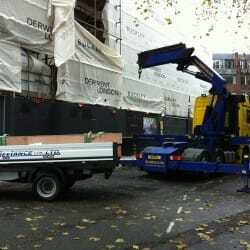 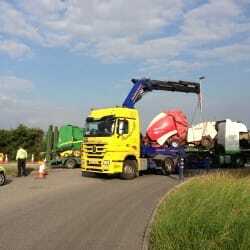 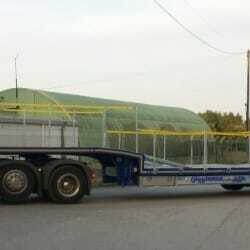 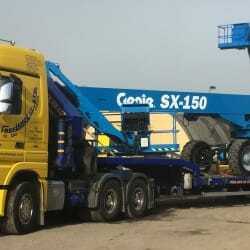 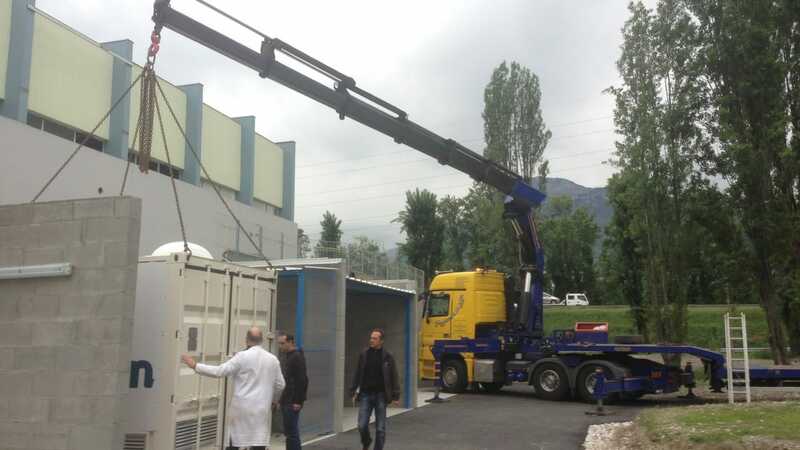 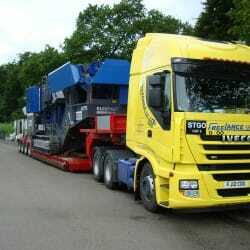 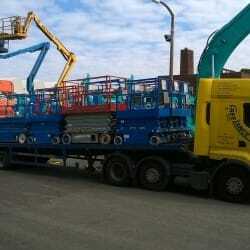 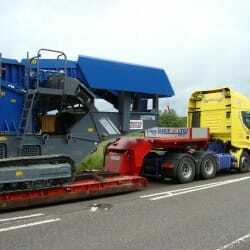 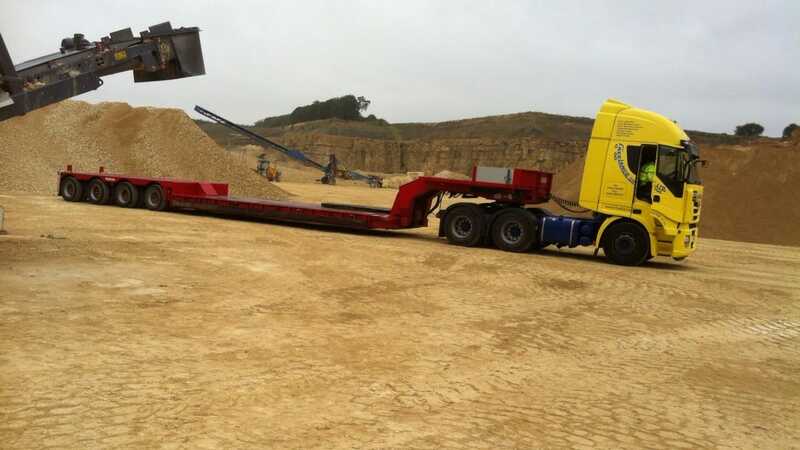 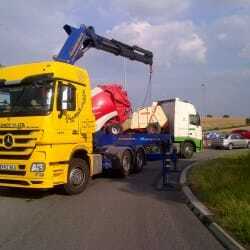 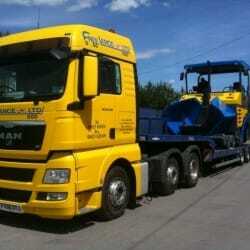 Our drivers are all trained in safe operating and loading of plant and equipment. 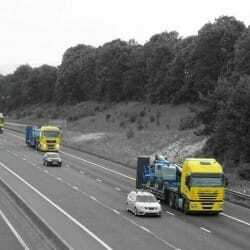 We continuously review our rates so that we remain competitive without having to compromise on the quality of our services. 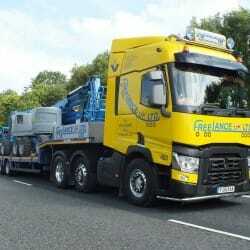 So call us now for a quotation and find out just how fast we can respond to your requirements. 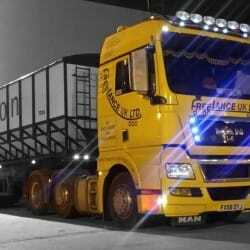 With our many years experience we are constantly improving customer services and welcome your feedback.